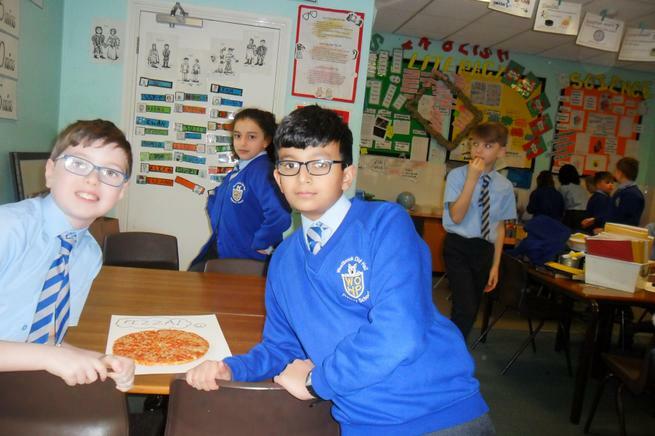 We are rewarded differently in Year 6. 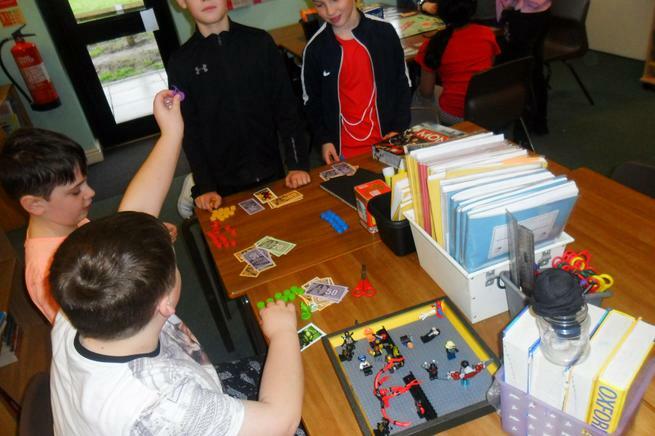 Using dots, we build our rewards for great work, attitude, commitment, perseverance and a positive learning approach by receiving 'dots'. 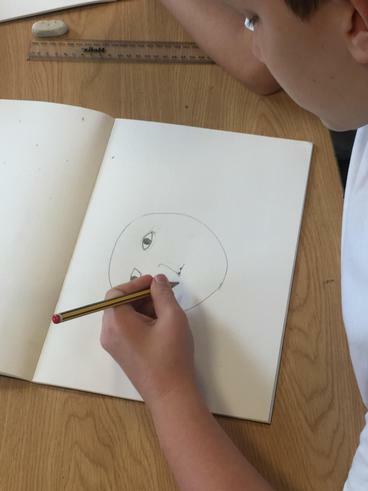 When we have received 10 dots, we get to place our individually designed EMOJI. 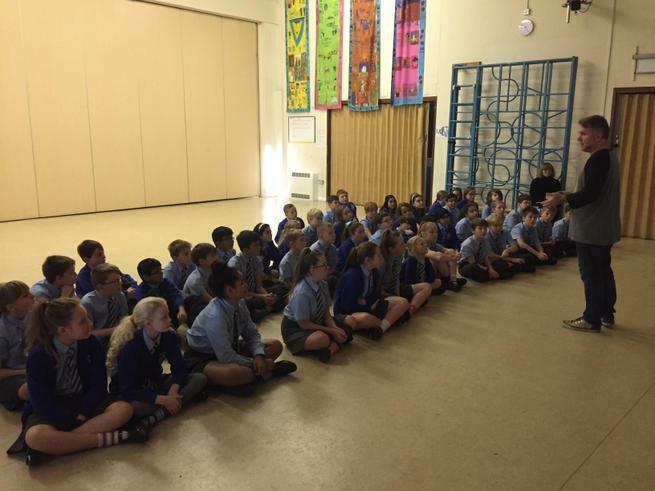 Three EMOJI's and we are presented with our special Year 6 Red Tie! The 'Special Red Tie' is presented to the hardworking and positive learner by Miss Tipping or Mr Moore at Celebration Assembly on Fridays. 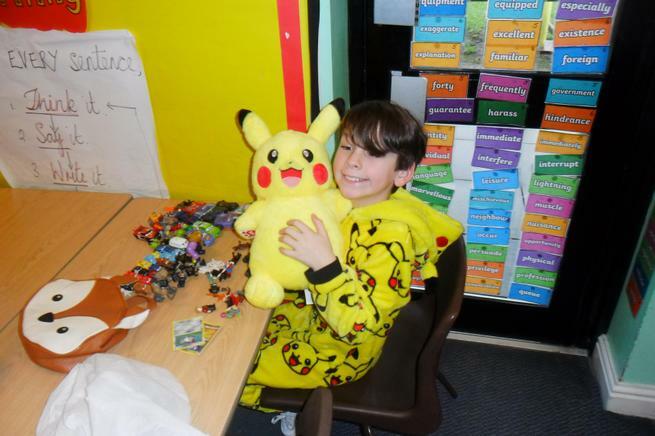 The proud recipient then wears their tie with pride for the whole of the week! 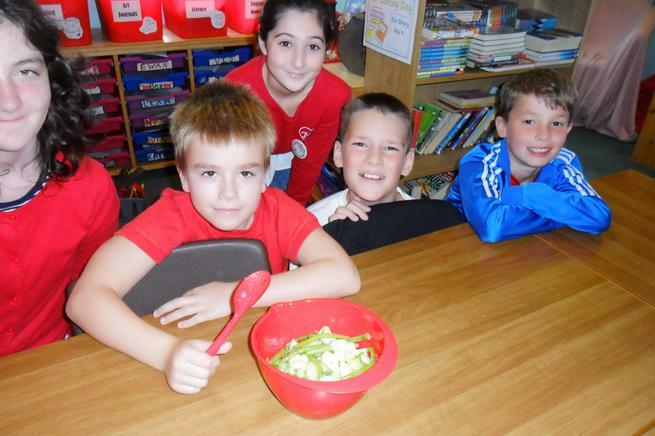 It's a great way to show our family of learners that we are positive role models!! 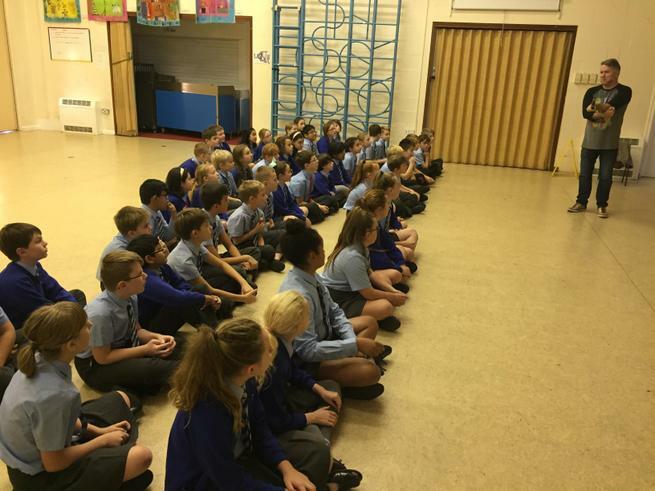 RED TIE RECIPIENTS' PHOTO SHOOT! 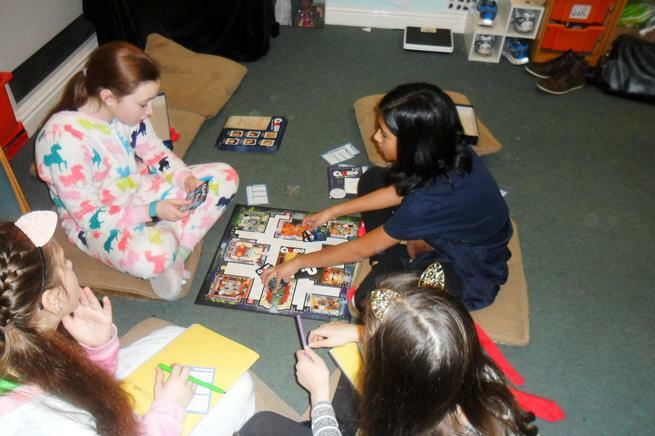 In our writing, we are using our focus book 'My Secret War Diary', to explore the main character Flossie Albright. 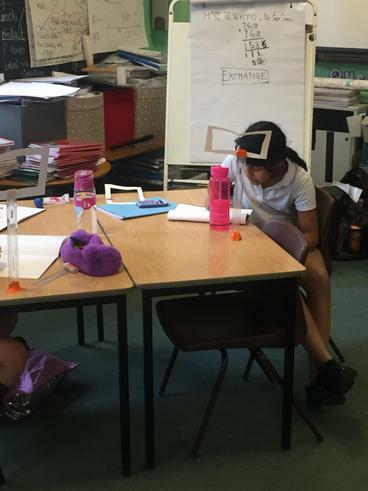 We read the text and explored clues that gave us a sneaky peak into Flossie's world! 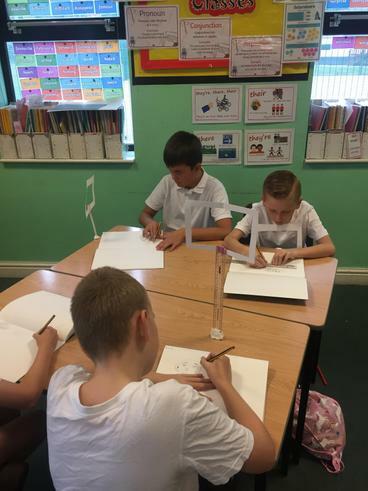 We wrote on our whiteboards the key features or traits of Flossie including physical appearance, personality and general information that we extracted from the text. 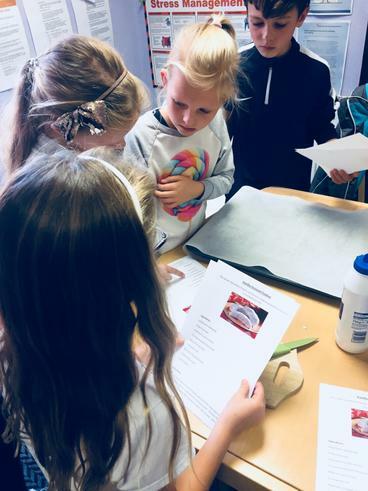 We were able to use the text to come up with some key information about Flossie Albright and form our own ideas about her. 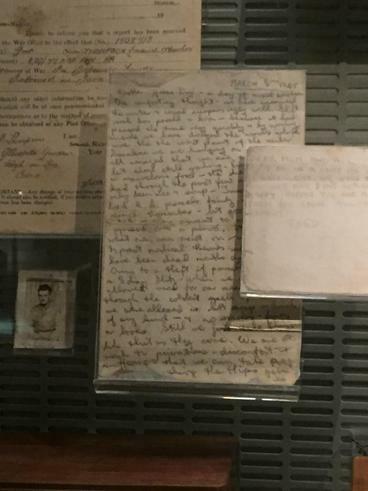 For example, we discovered that she had a lot of pets that weren't actually hers, we noticed, from the way she spoke in the diary, that she was quite bossy and confident. 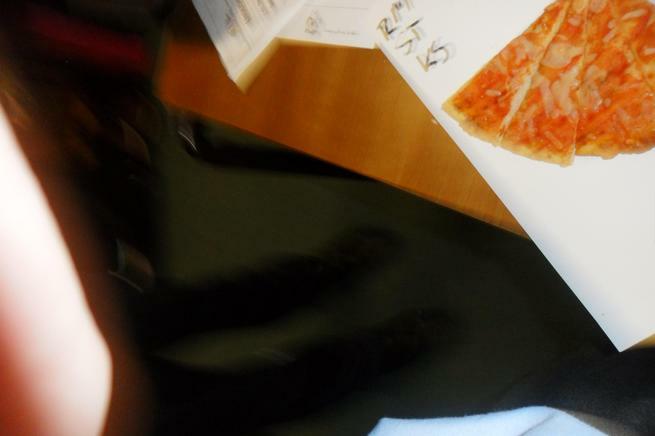 In winter her freckles go blue with the cold and she has ginger, untamed hair!! 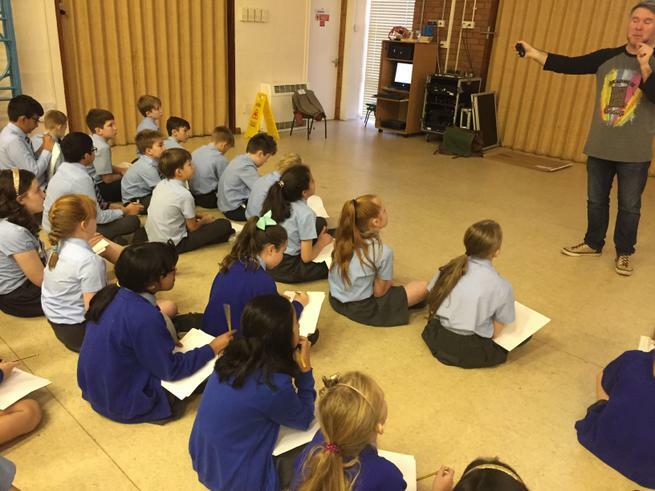 Watch this space to see how our character description develops. 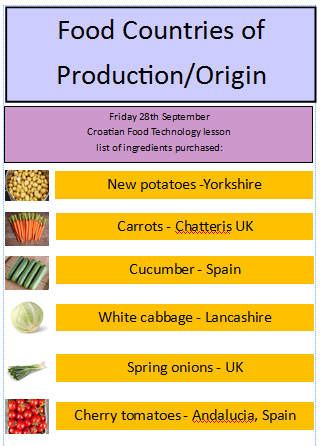 Croatia was our focus country for European Languages week and we spent Friday afternoon (28th September), preparing traditional recipes. 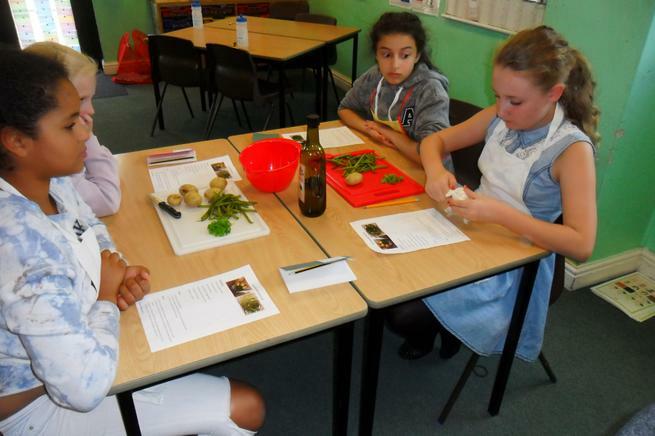 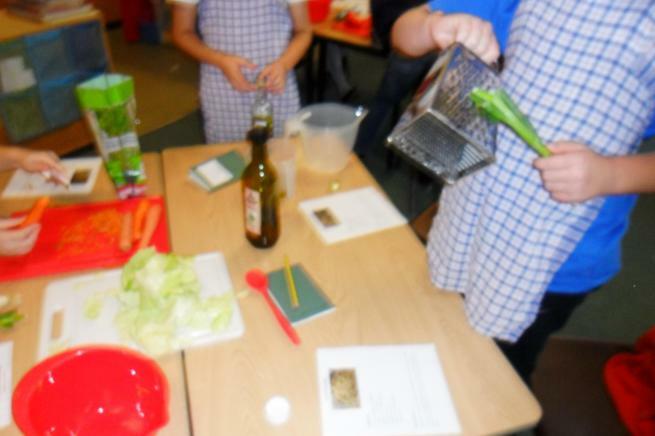 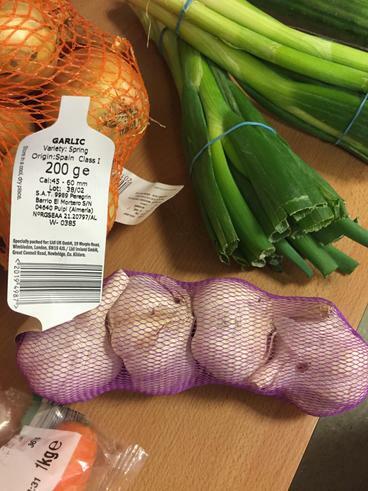 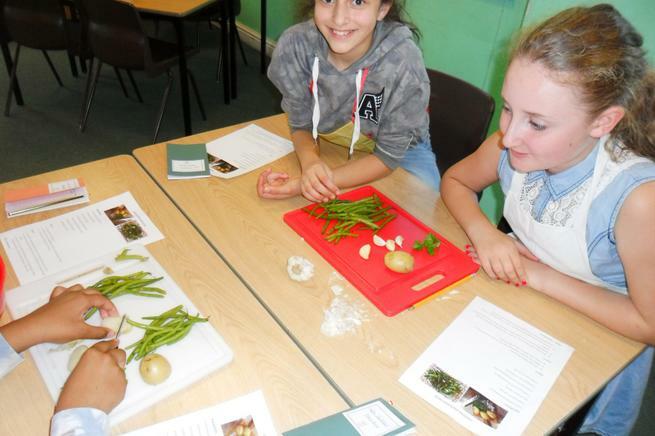 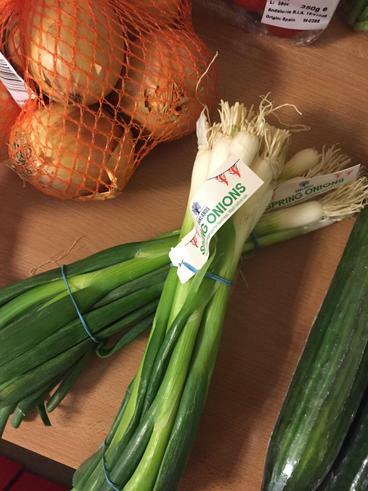 First of all, we looked at the variety of ingredients we would need in order to prepare the dishes. 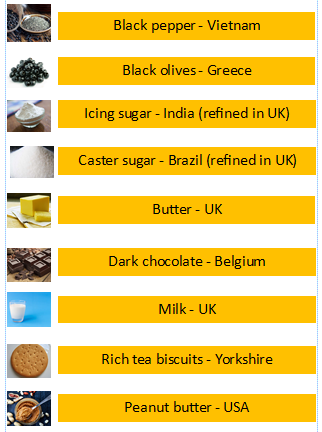 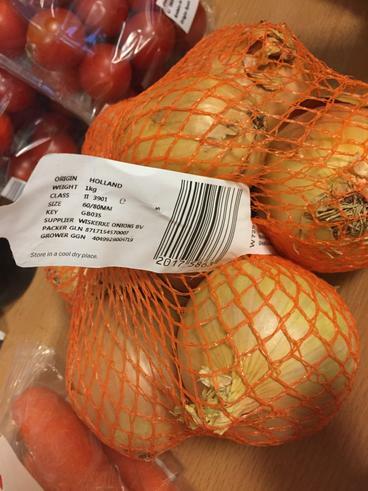 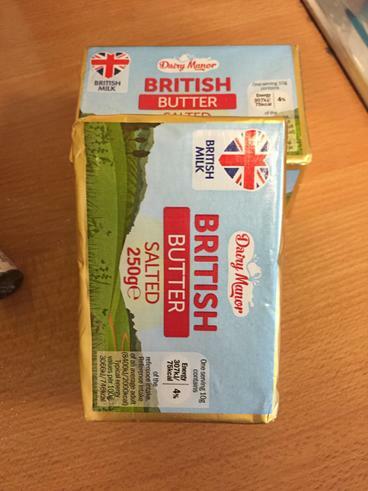 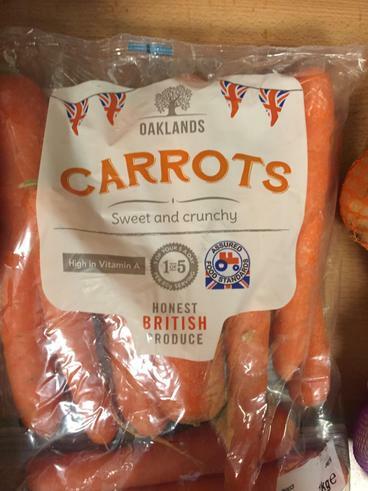 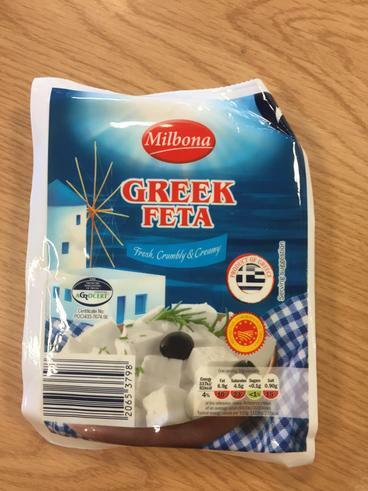 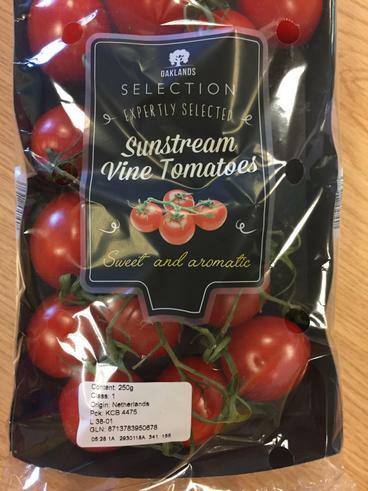 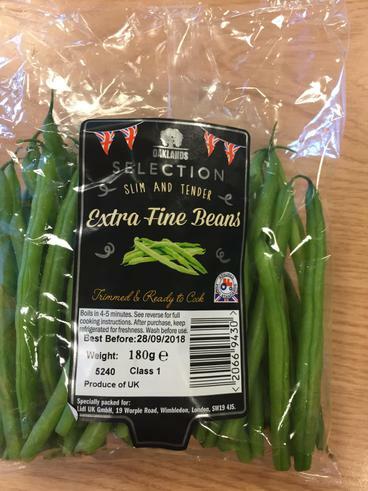 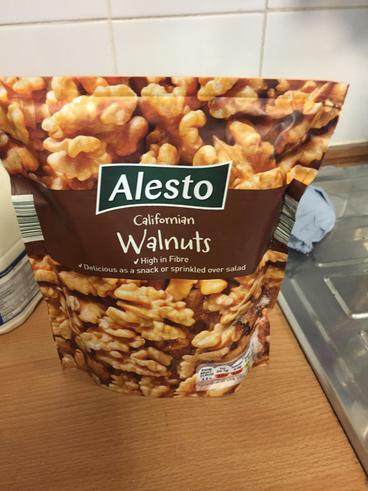 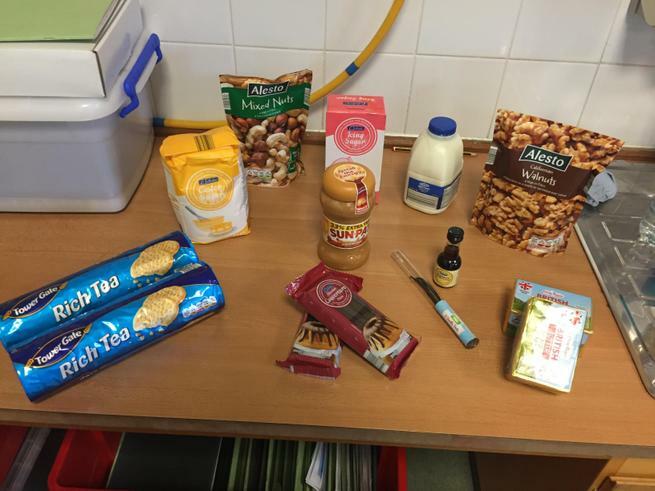 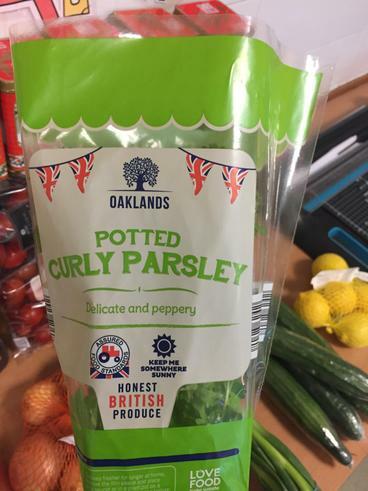 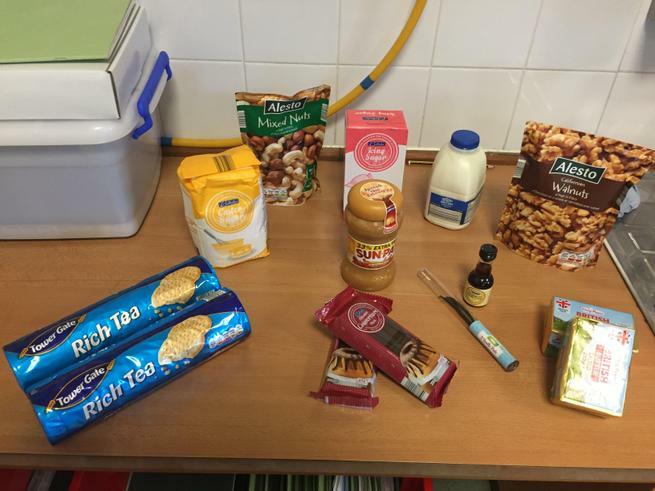 We looked at different sweet and savoury types of food and we thought about the packaging to determine the country of origin, where that country was in relation to the UK and how many miles the food had travelled to get to its final destination! 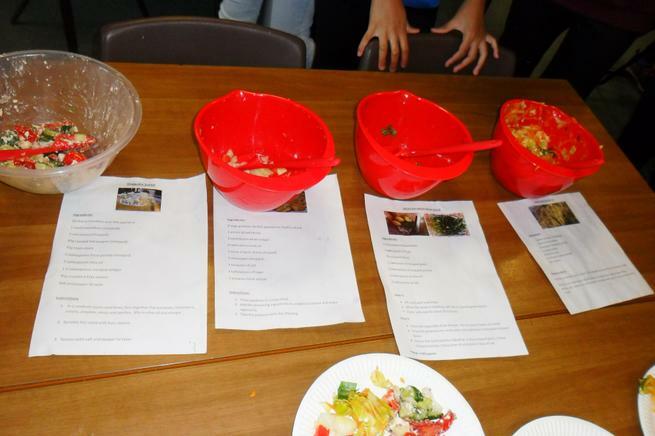 After that, we worked together as a team (approximately 4 in each group) and were given a recipe to follow. 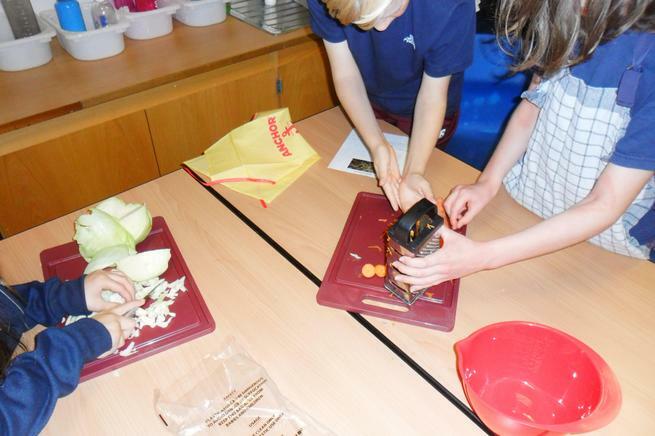 We selected the ingredients needed for the dish we were making. 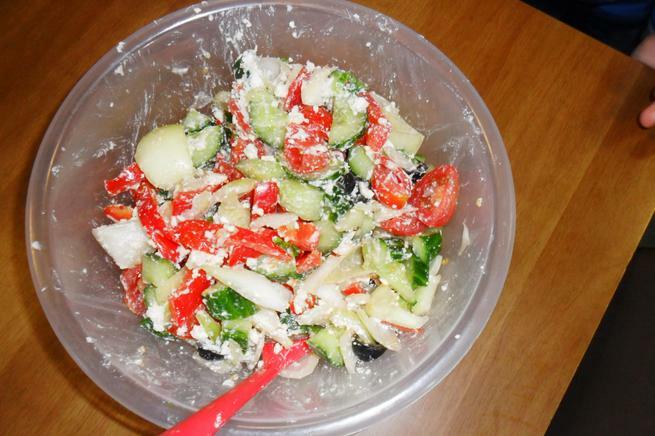 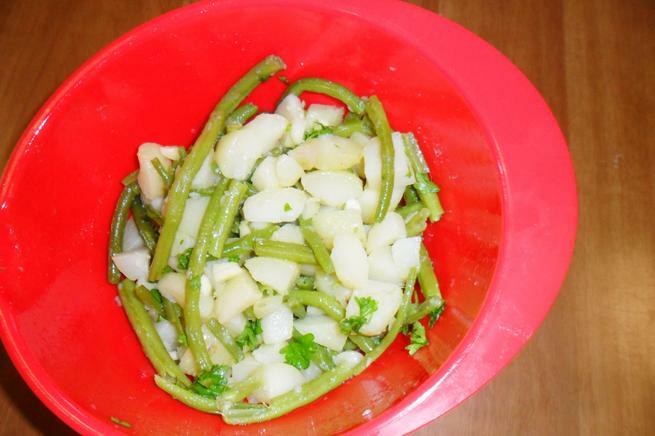 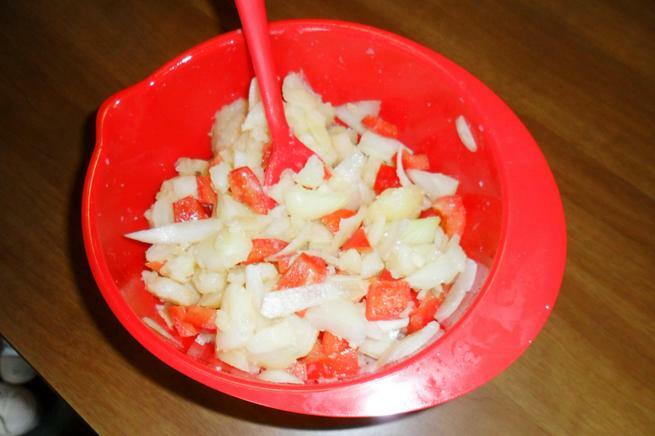 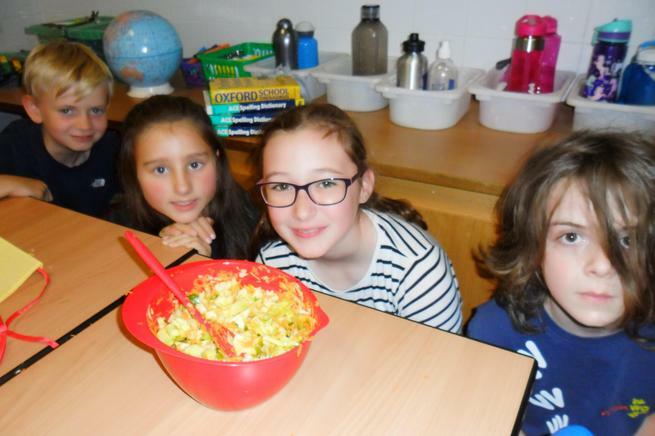 In total there were 6 delicious dishes to prepare. 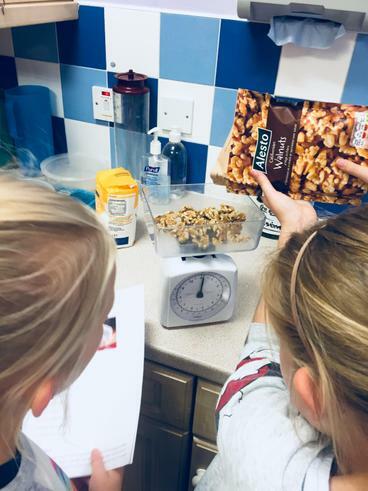 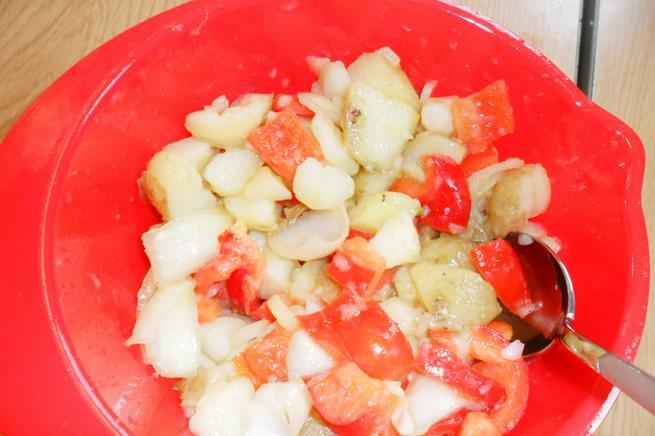 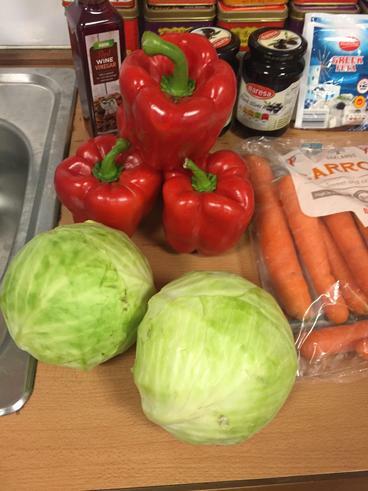 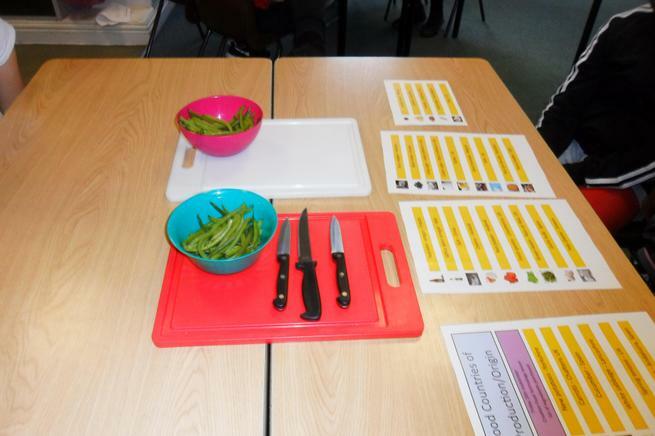 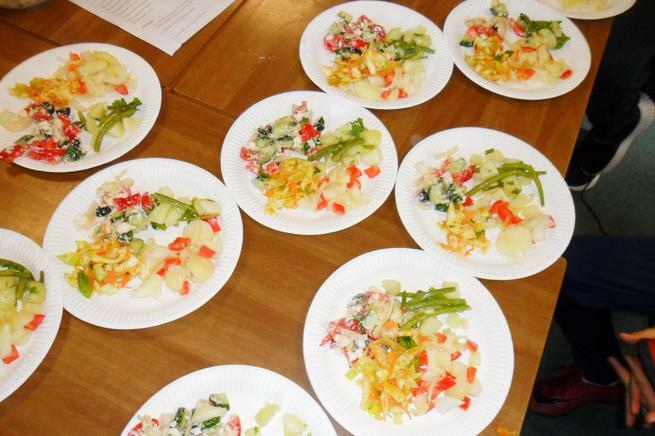 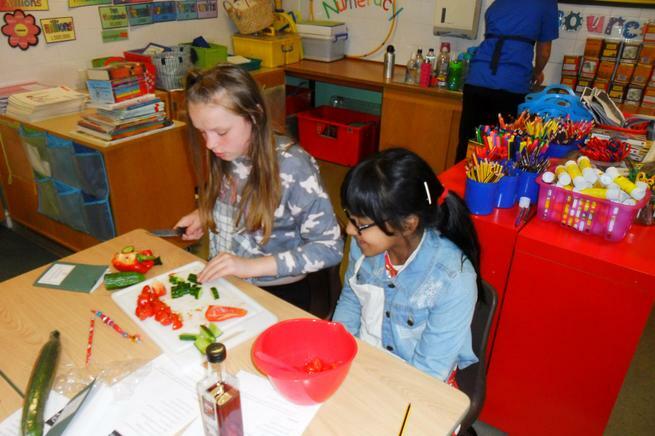 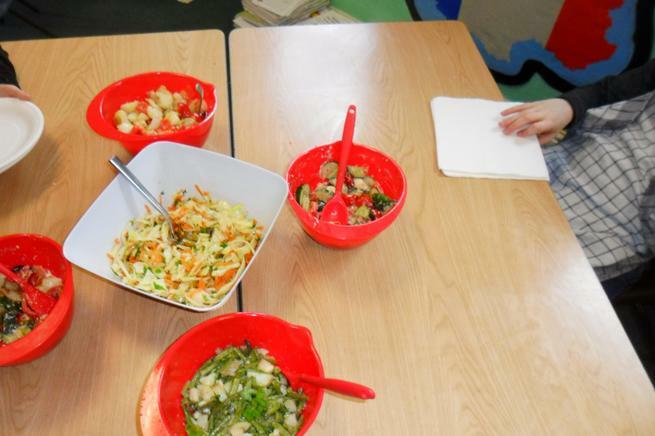 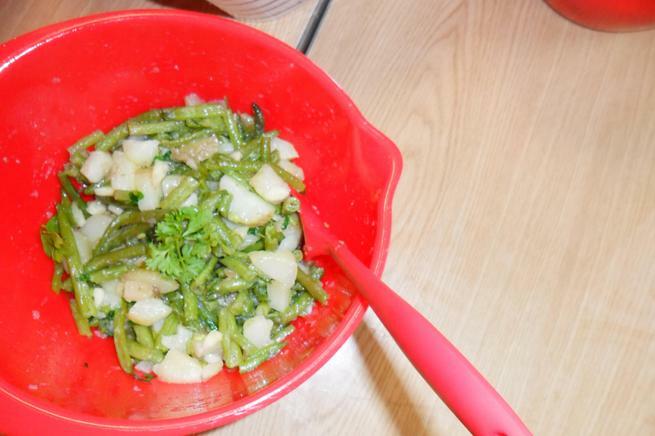 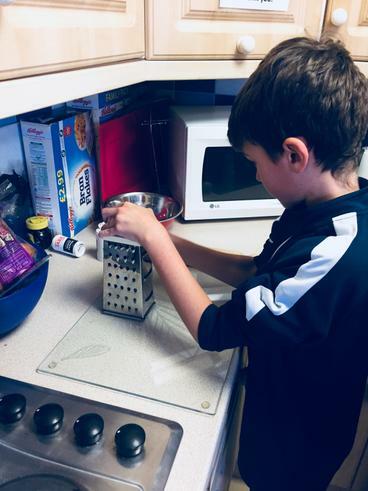 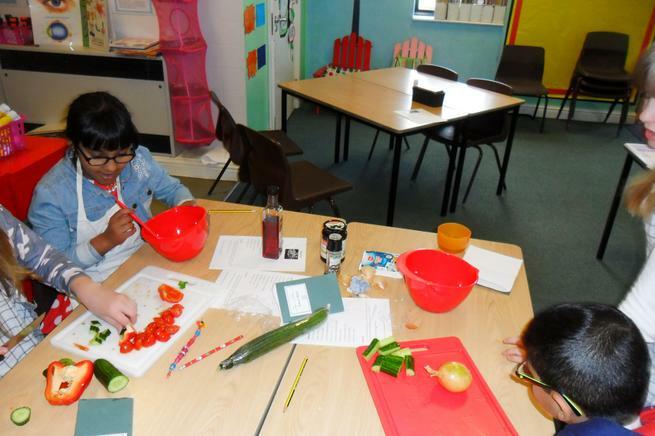 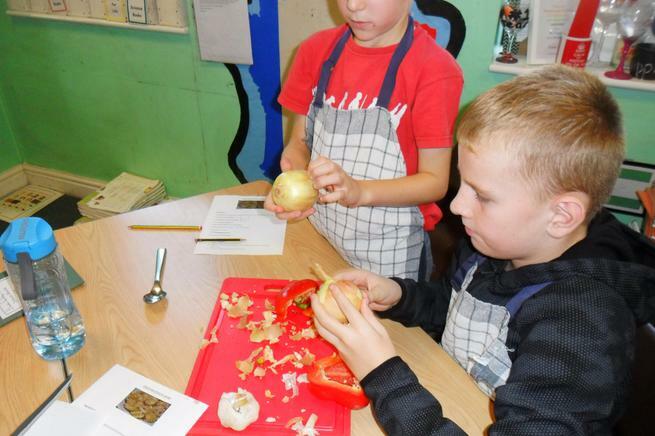 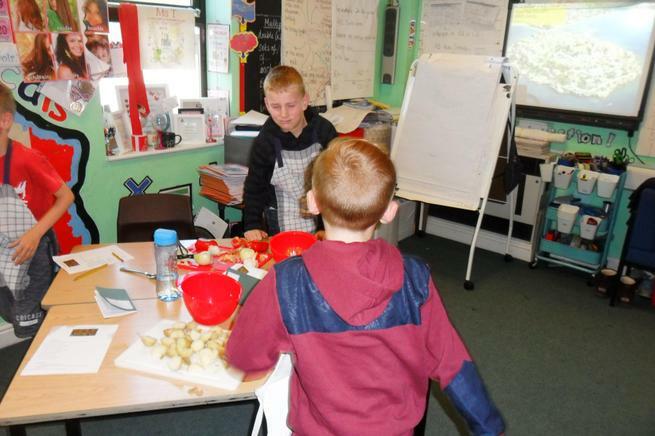 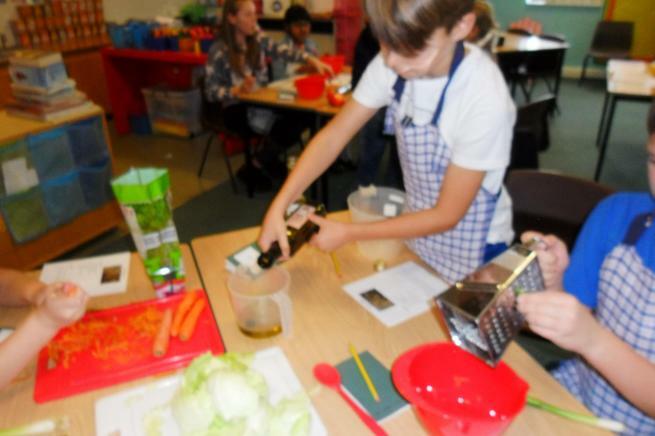 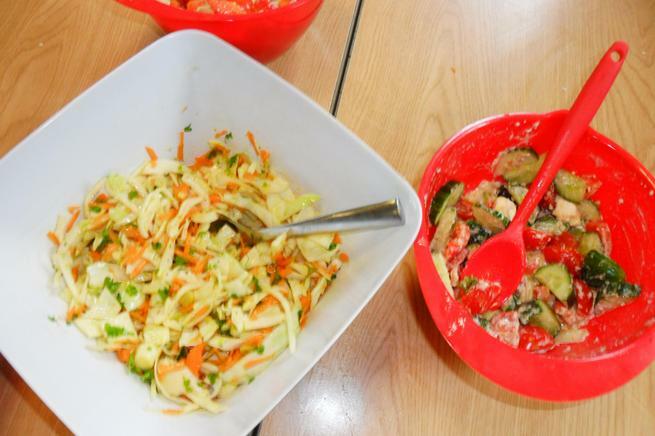 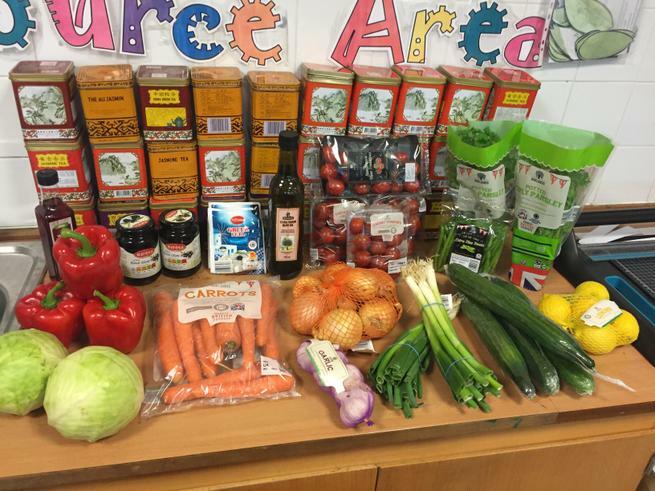 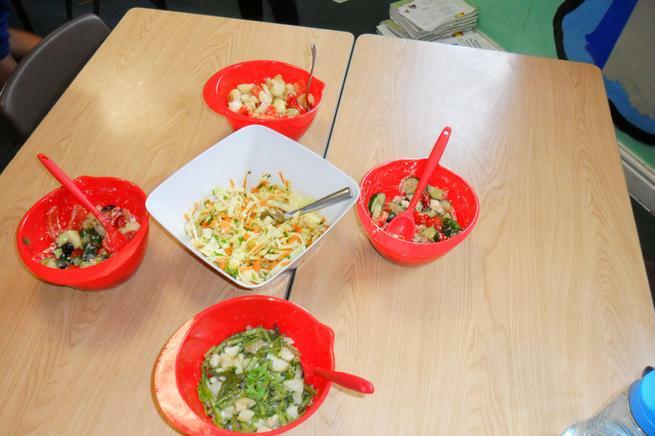 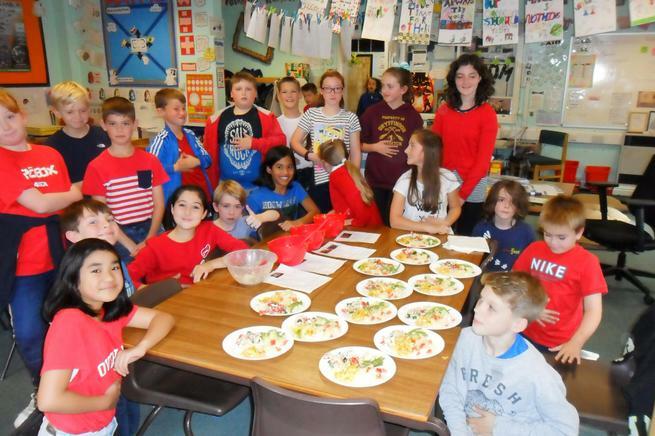 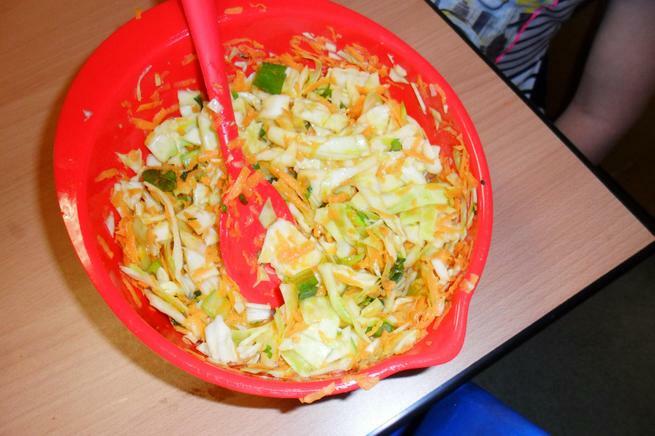 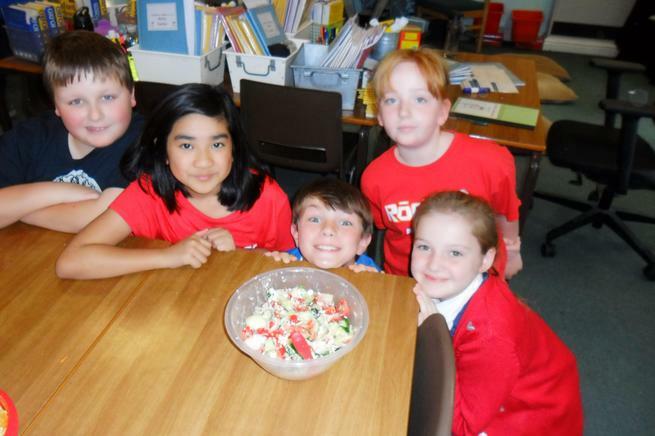 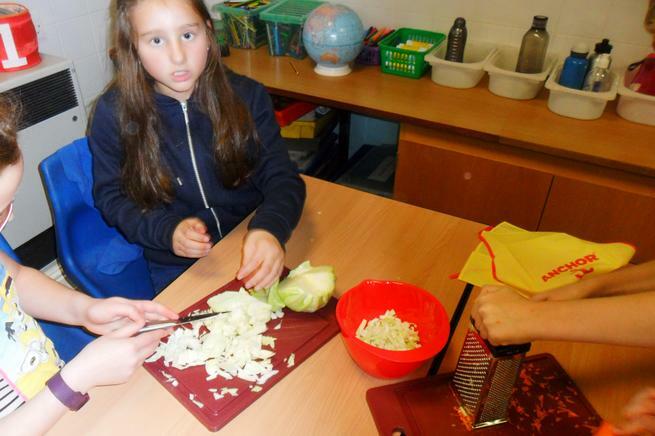 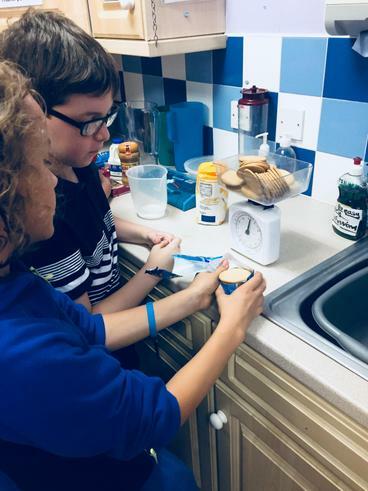 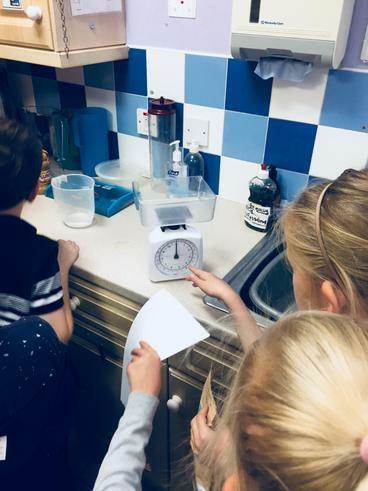 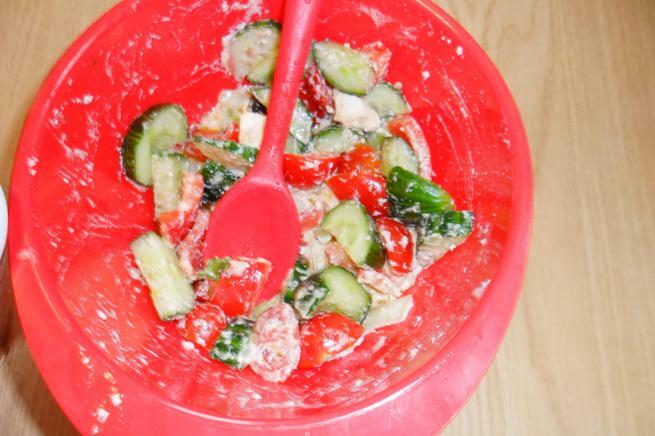 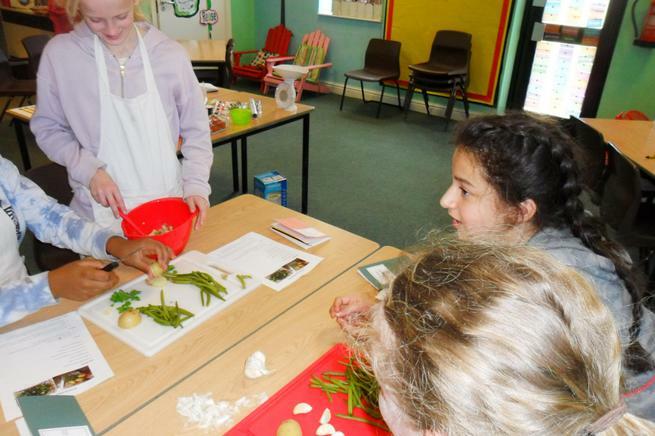 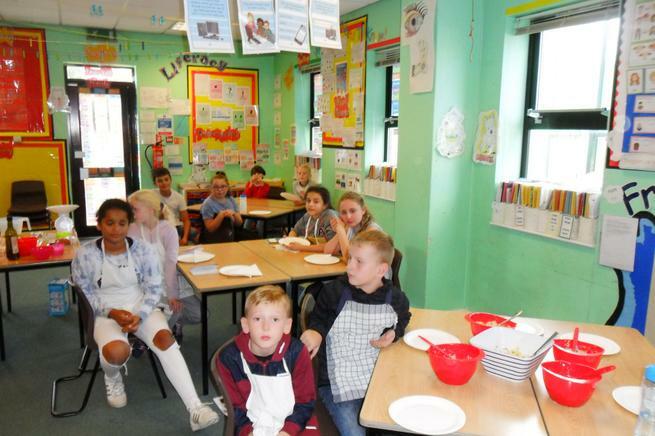 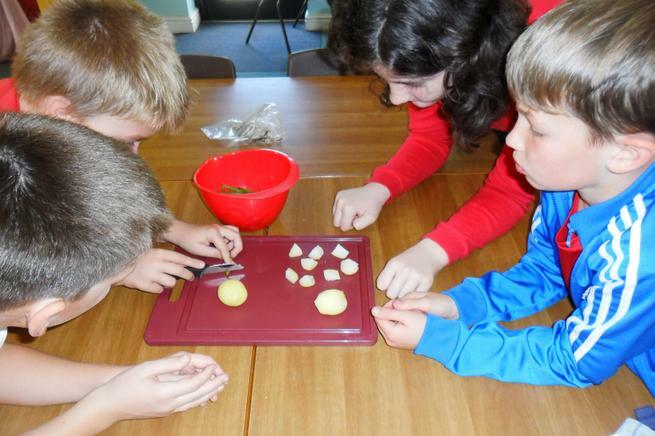 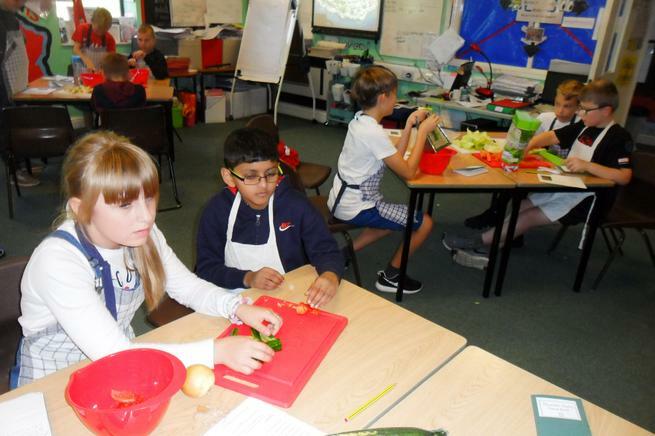 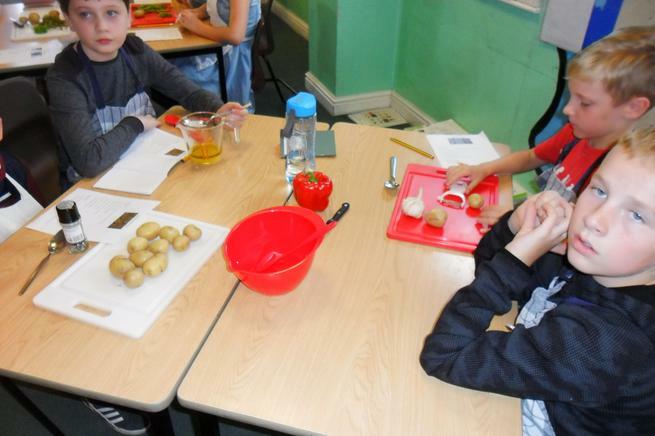 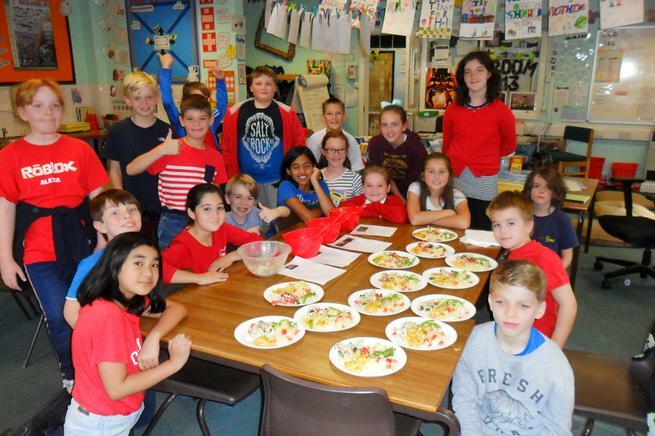 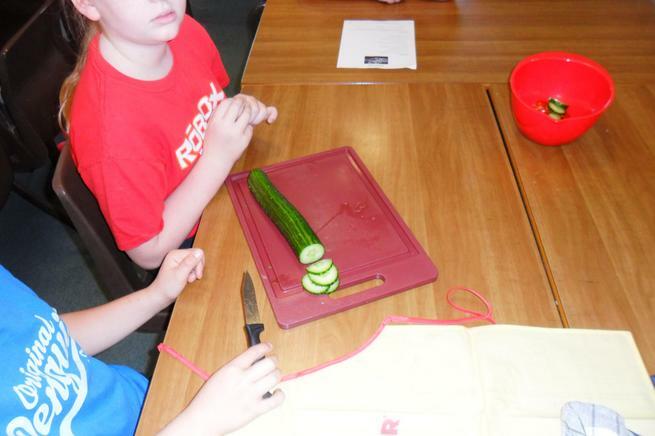 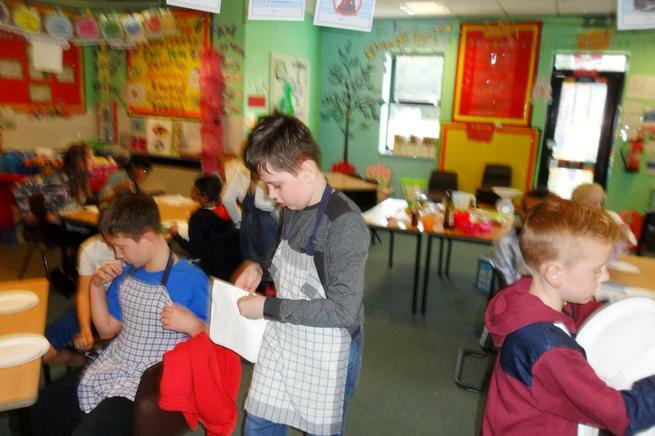 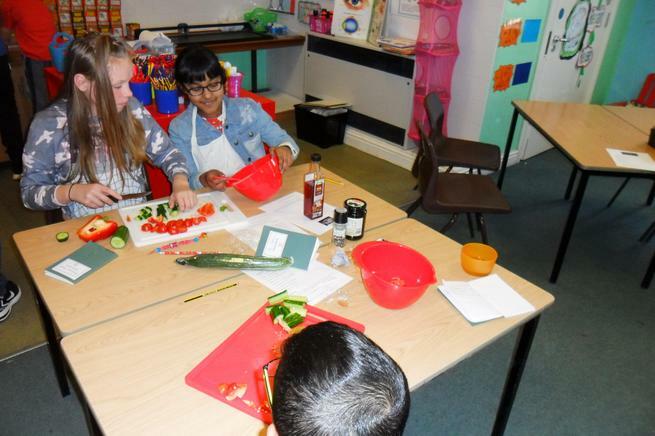 To prepare the food, we had to measure ingredients using weighing scales, chop fruit, vegetables and nuts for the recipes, combine the ingredients by mixing together to present our final dish. 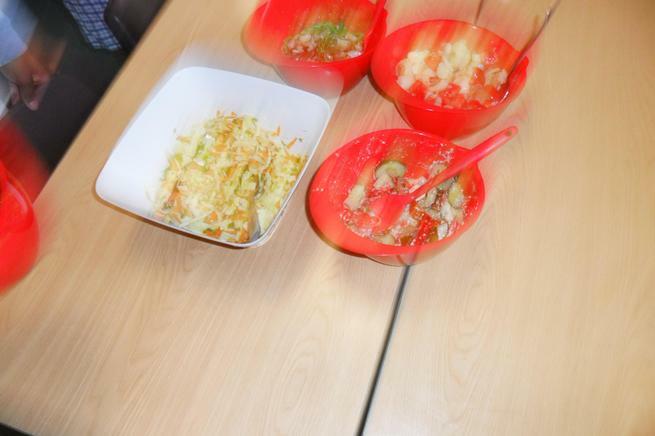 When all the dishes were prepared we placed them all on one table and taste tasted them. 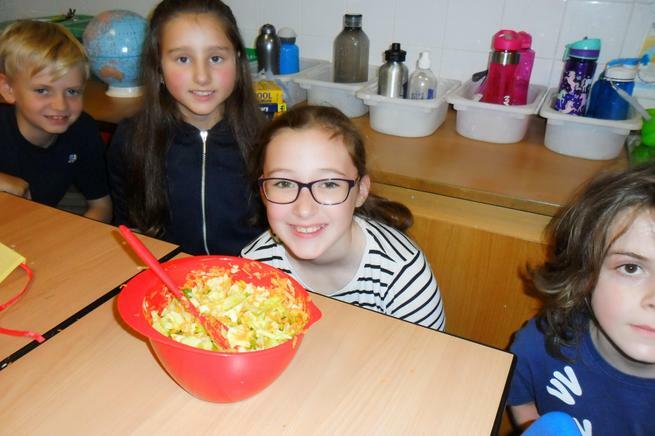 "My favourite dish was the Bajadera because I helped my team to make it and it was very sweet and melted in my mouth," stated Eloise. 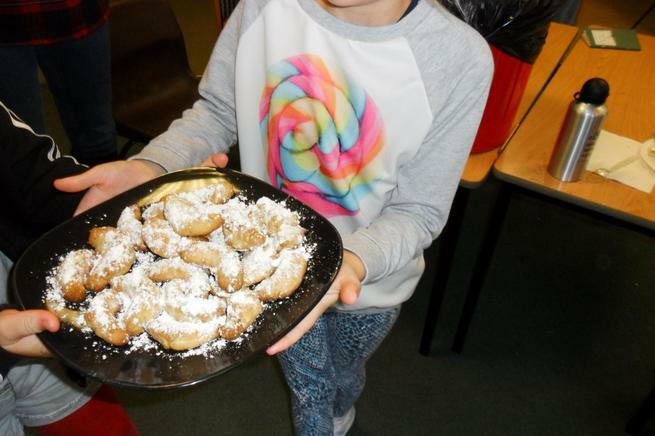 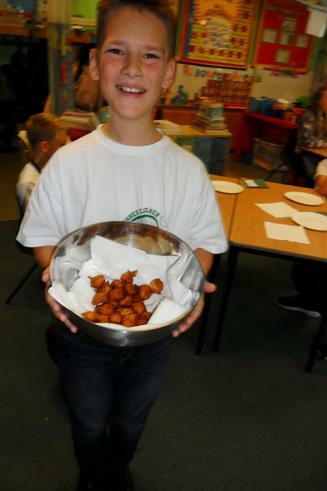 Vid (who was originally from Croatia and whose parents are both Croatian) surprised the whole year group when his mum came in with a bunch of Fritula (a delicious sweet dessert) for the year group to sample. 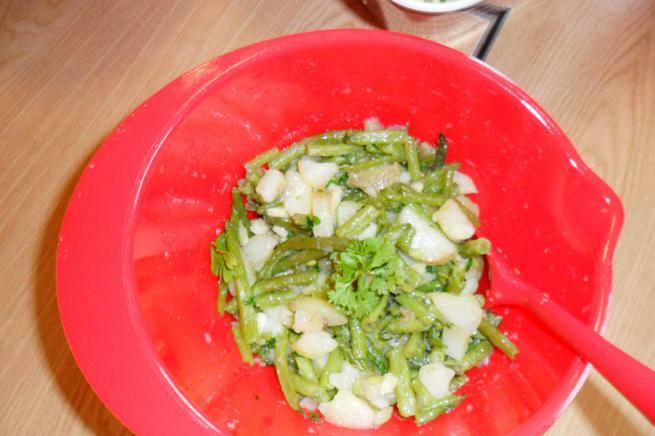 "I've had this dish at home a few times and it's amazing!" 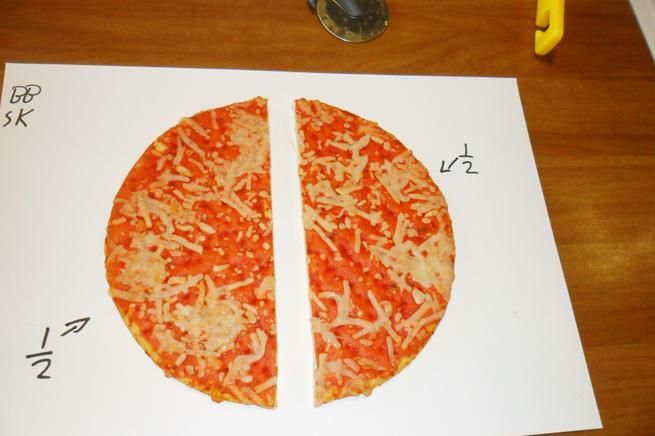 exclaimed Vid. 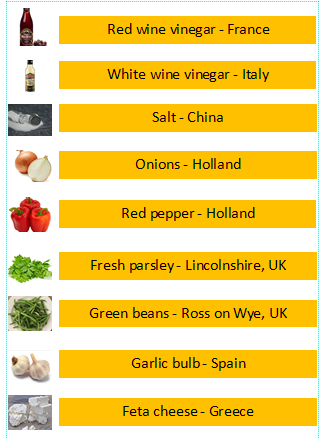 In case you want to try at home - here are the recipes! 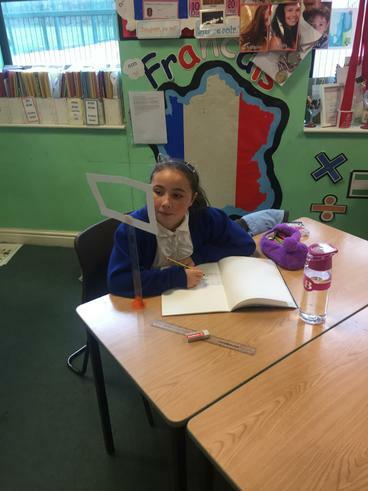 The children in Mr Moore's Mathematics were given the challenge to match 24 triangular pieces, all of which contained division facts and answers to create a hexagonal. 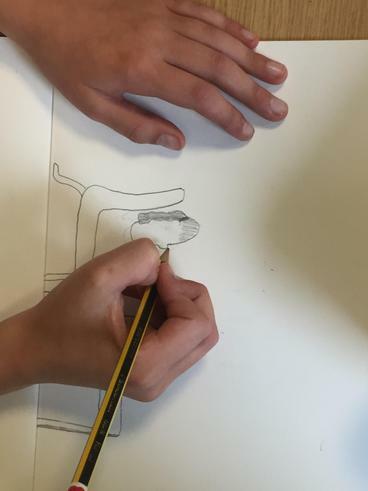 Our classes focused the art project on our history hook - Is it right to fight? 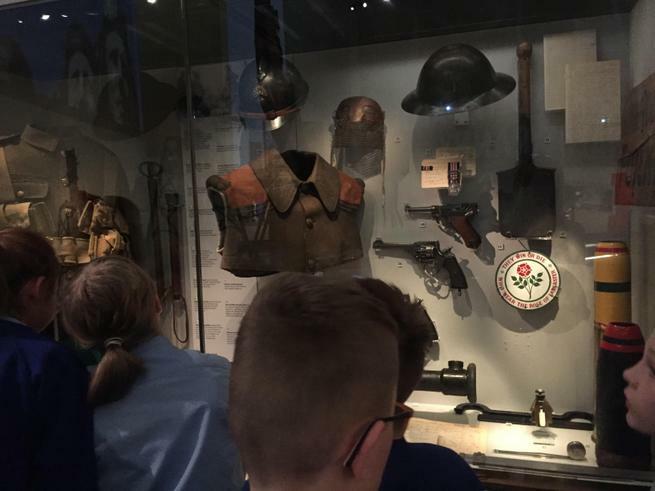 We thought about and selected a range of artefacts that represented the First and Second World Wars, the part our country played in these wars and how we remember those who had fought. 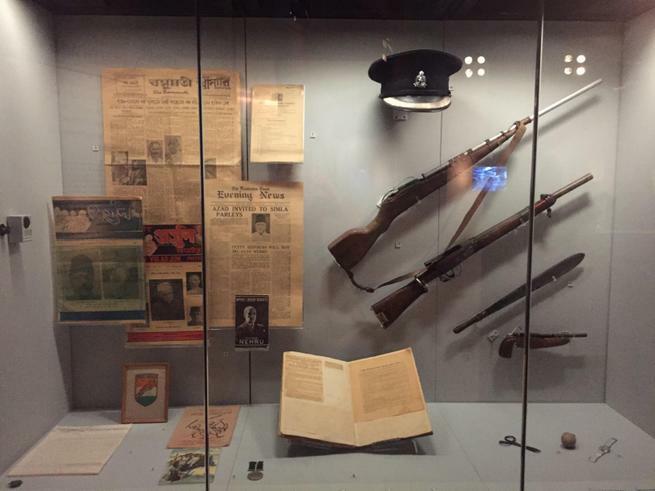 These artefacts and memorabilia were arranged in a particular way to incorporate our ideas into one display. 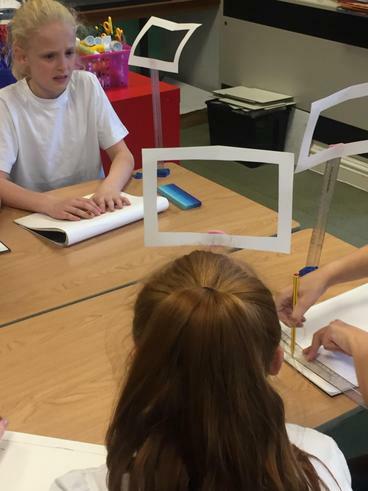 Our first step was to use a frame to sketch what we could actually see within that frame and to develop our drawing and perspective skills. 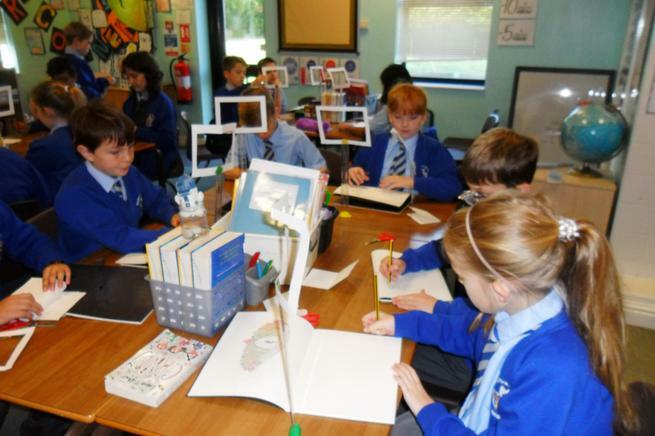 After practising our sketching, we then carefully studied our still life presentation. 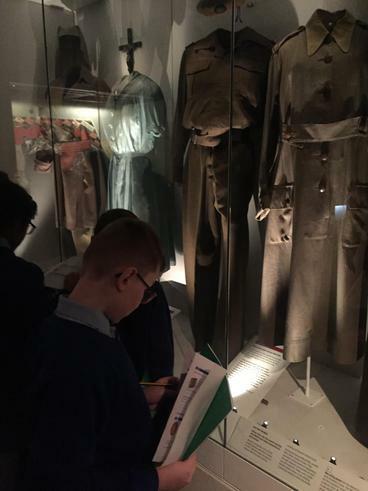 We used observation skills and perspective skills to consider where the artefacts where positioned and thought carefully about what we could see. 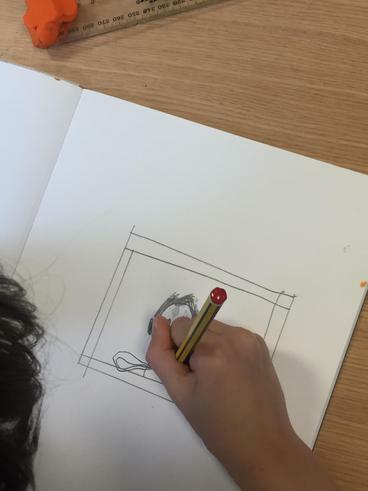 We then began to sketch our own interpretation of this. 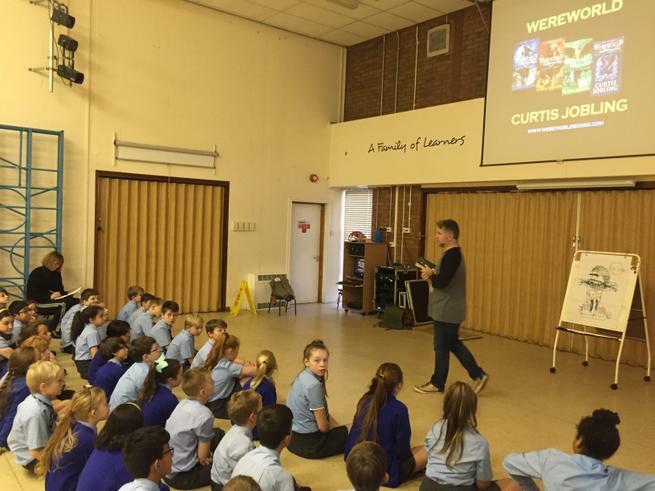 We were privileged to share in a writing workshop on Thursday with best selling author, Curtis Jobling. 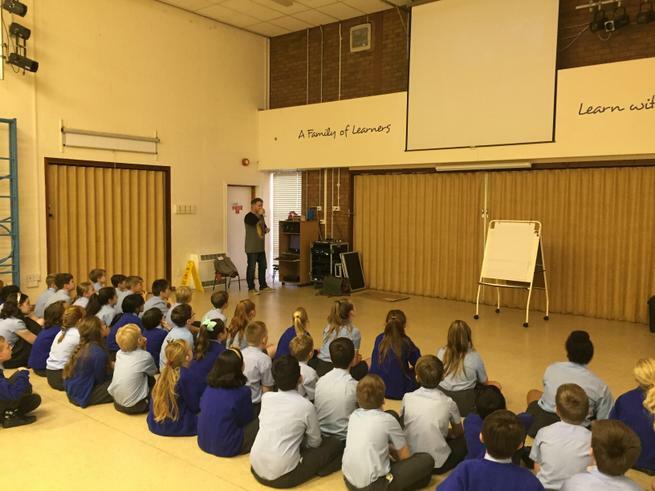 At the beginning, he introduced himself and talked about how he developed ideas and inspiration for his writing. 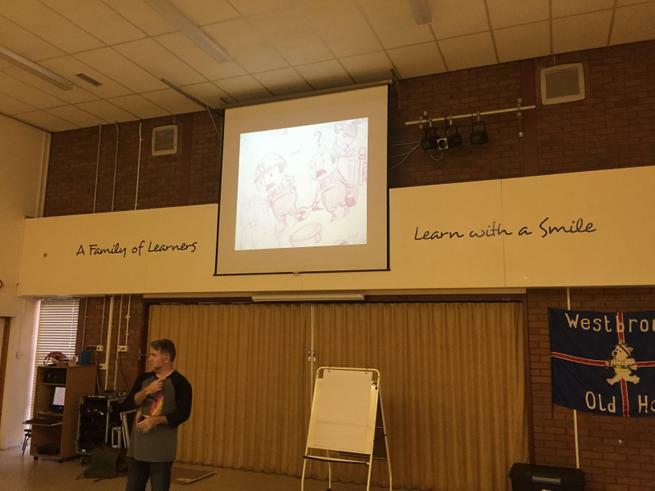 For example, when developing the character 'Bob the Builder', he explored different ways to illustrate the character and he had to play about a bit before he achieved his final 'Bob'. 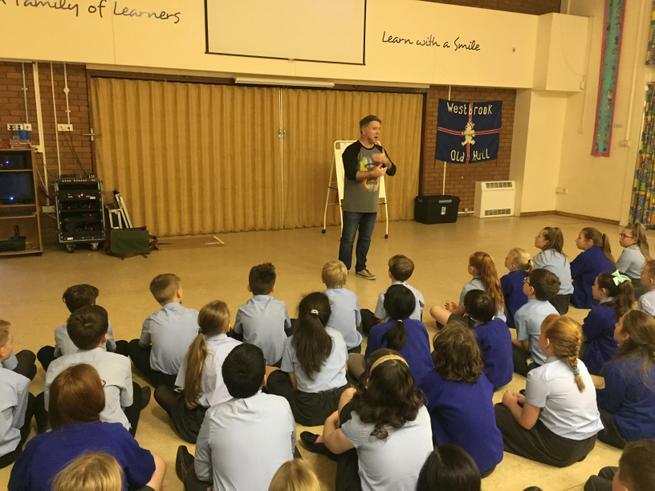 He gave us some great tips for our story writing such as, starting from the end so you know exactly where your story is going. 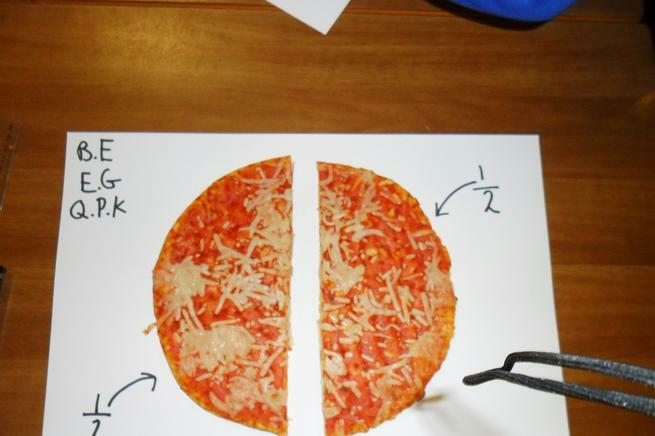 Also, to only have one main character in the setup, one point of view and one play situation. 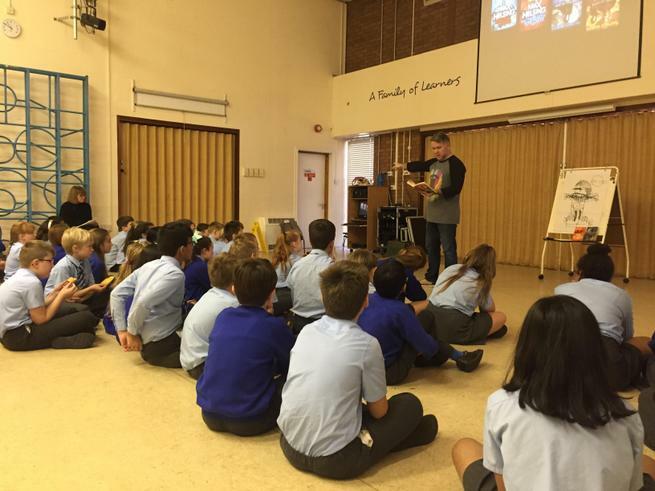 He then gave us a story opening which had in intriguing box and a "Thump, thump, thump." 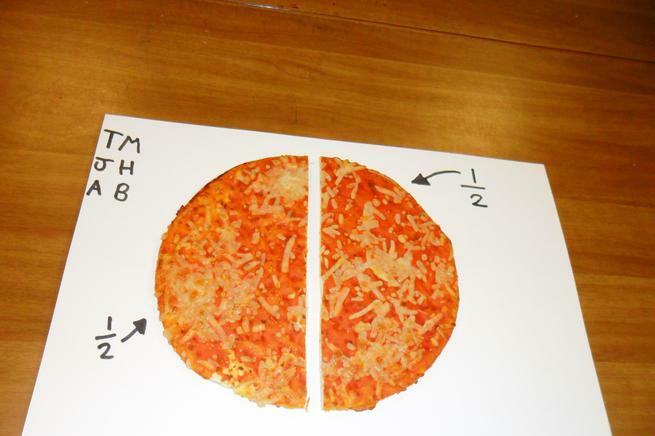 We then had to decide where the 'thump' was coming from, what the box looked like and what was inside it. 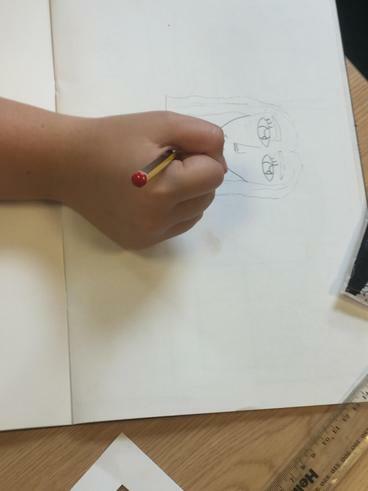 When we started, Curtis told us that he did not want to see anyone writing but instead to be thinking about our ending. 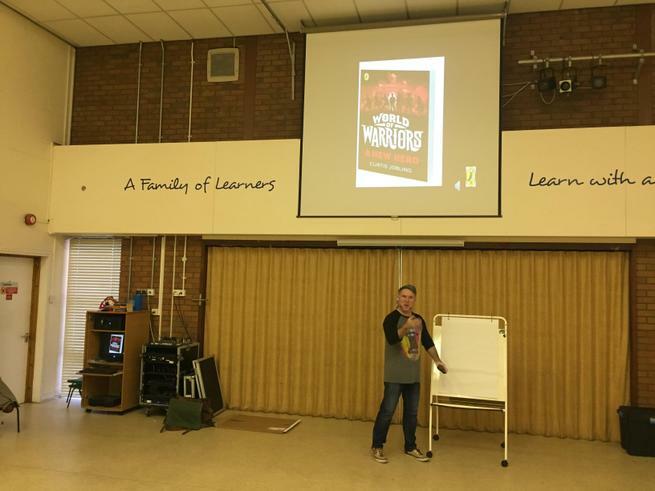 After that, he told us about a boy from another school who had written a particularly good ending and then shared some examples of excellent writing from other children. He ended his workshop by reading a thrilling extract from his book, Max Helsing, set in New England in America. 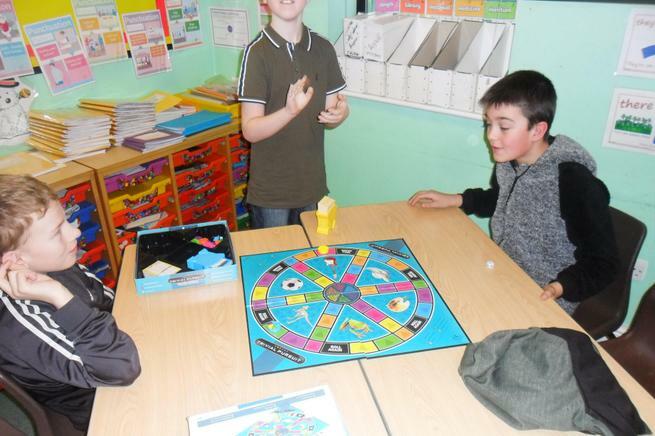 In our History topic, we have been considering whether it is right to fight. 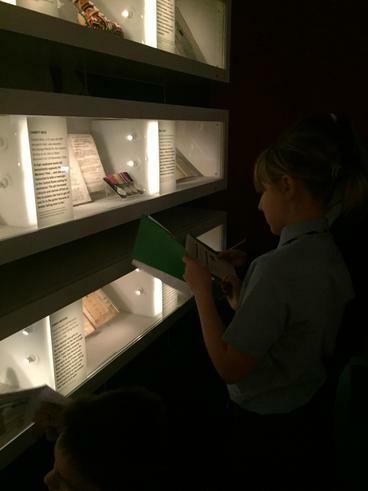 As part of this, we have been investigating conflict from 1000 AD to present day. 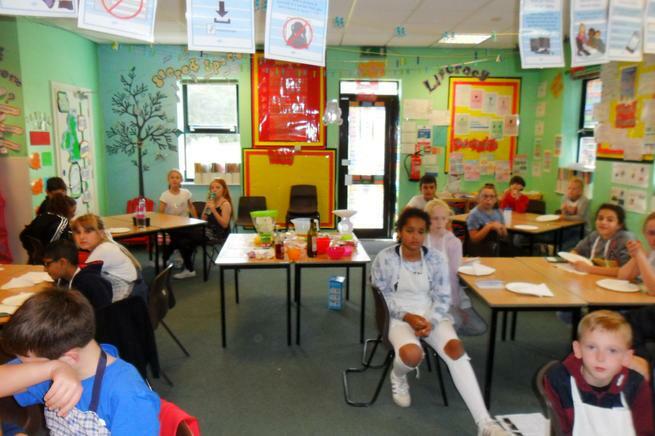 We also discussed the importance of individuals throughout history who have had peaceful influences over others or those who have actively worked to stop conflict, prejudice and wars. 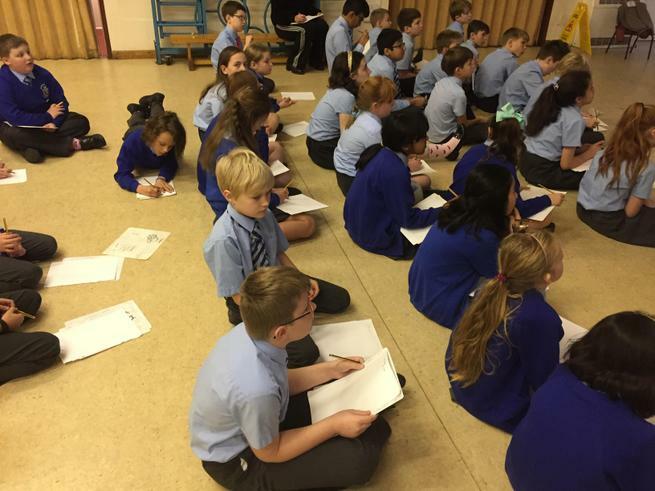 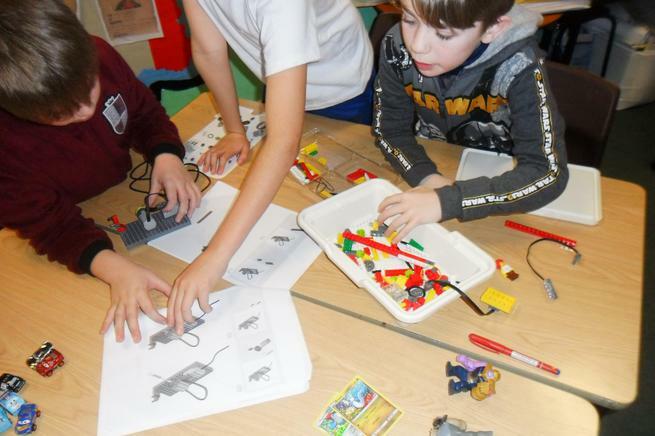 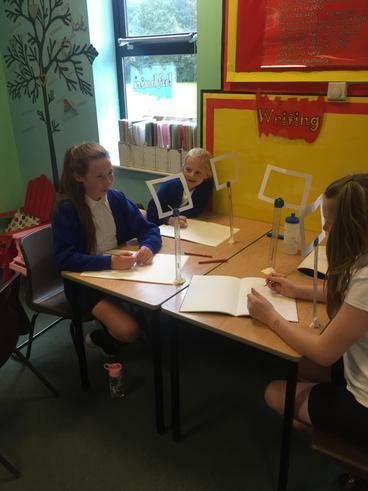 On Monday 2nd December, Year Six undertook an indoor paper challenge. 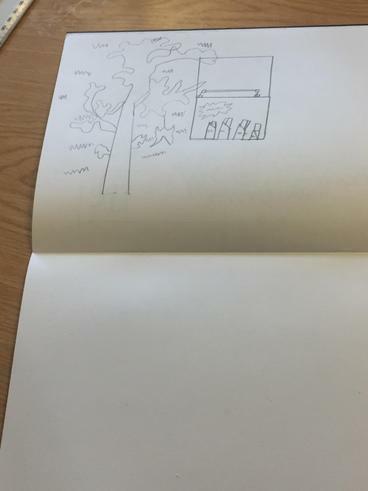 We worked with a partner and were given one sheet of A4 paper. 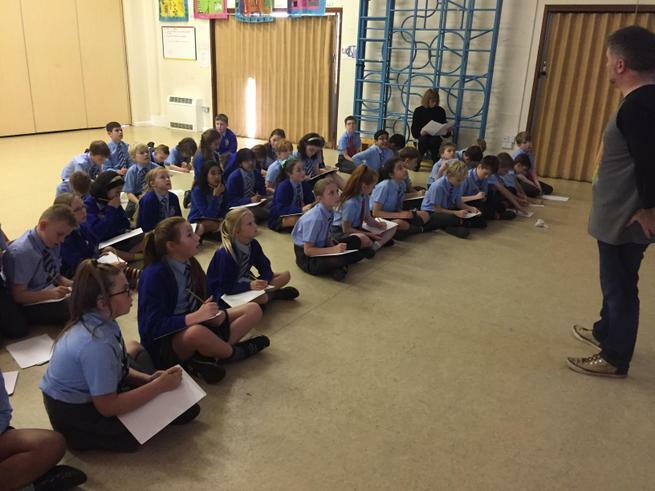 Our challenge was to create the longest, continuous piece of paper from the A4 sheet. 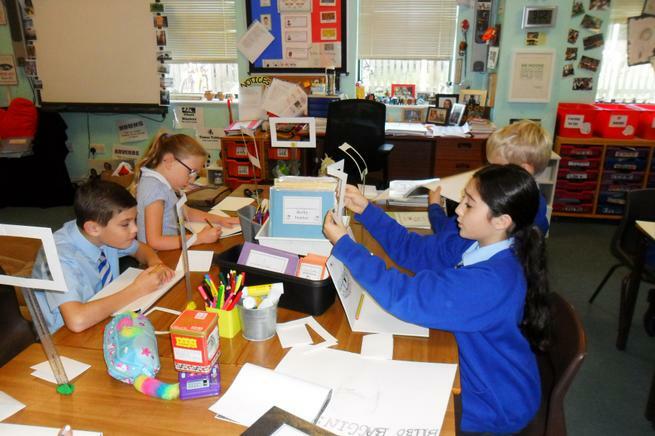 Working together, we had to practise and develop our own strategies in order to formulate a clear plan. 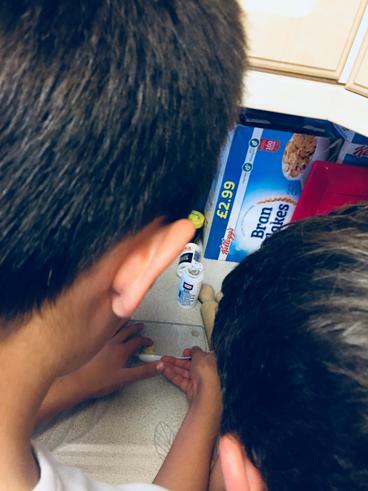 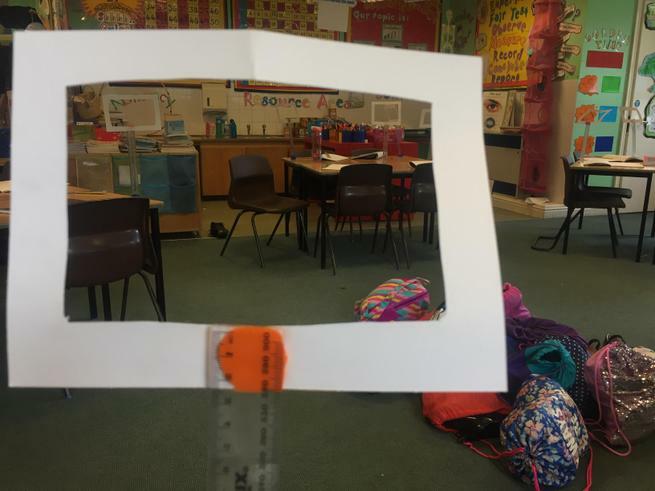 We had to consider and think carefully about how thin or thick the pieces would have to be cut to make sure we had the length, ensuring it did not break. 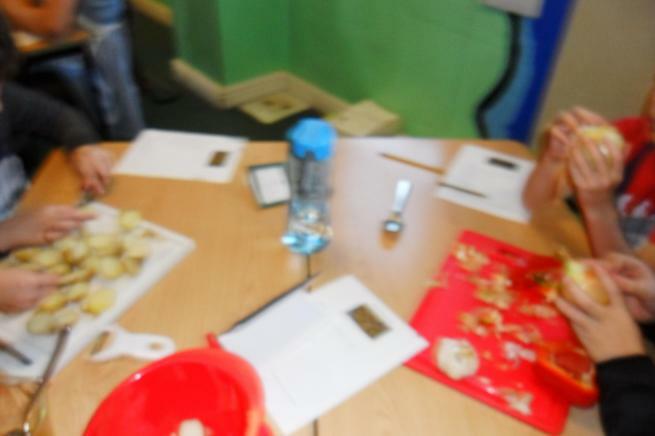 We used skills of cutting, trial and error, communication and teamwork in our pairs in order to complete the challenge. 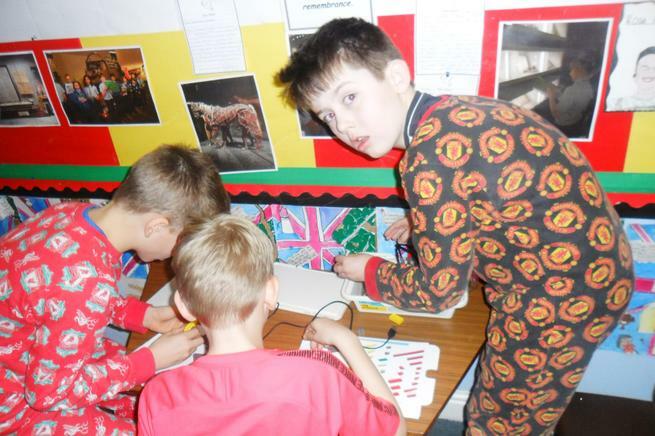 We took our final strips down to the hall and laid them along the floor. 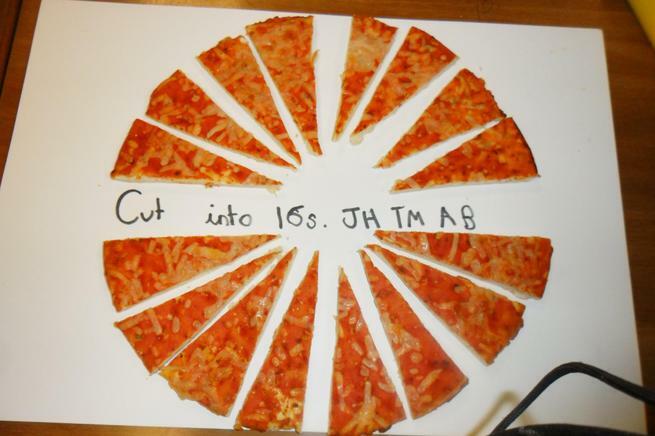 Quite a few broke during this process as they were too thin! 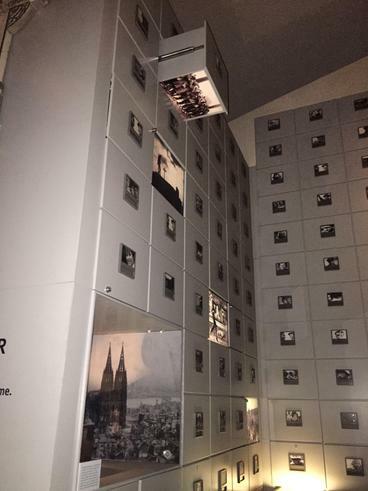 As you can see from the photographs, there were quite a few strips that were extremely long. 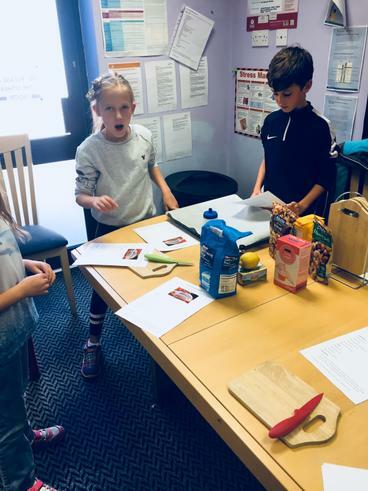 However, the overall winners of the challenge were Elize and Beatrice, followed closely by Lucy and Emily, Kerim and Quinn. 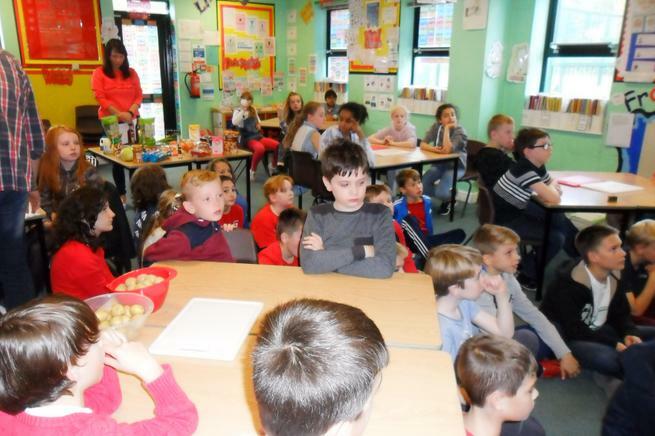 Continuing with our 'Is it right to fight?' 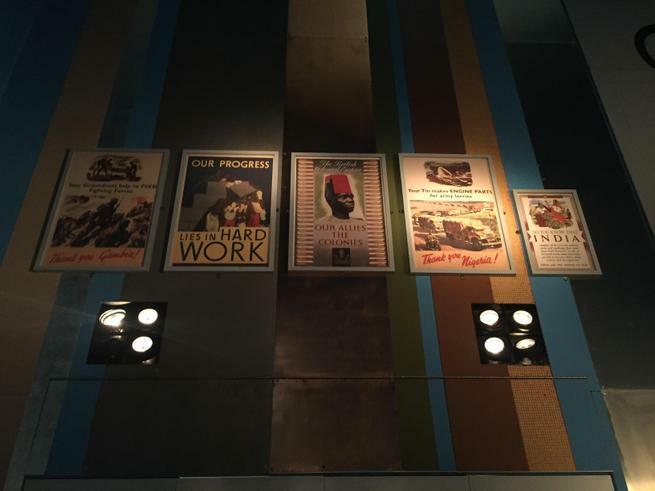 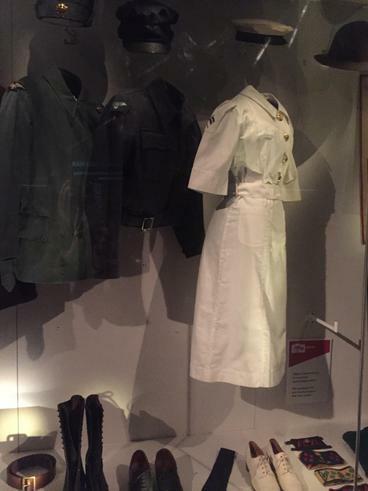 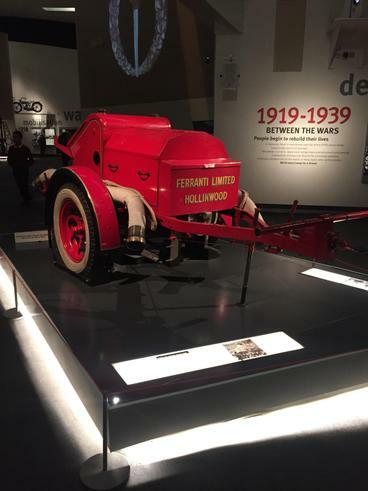 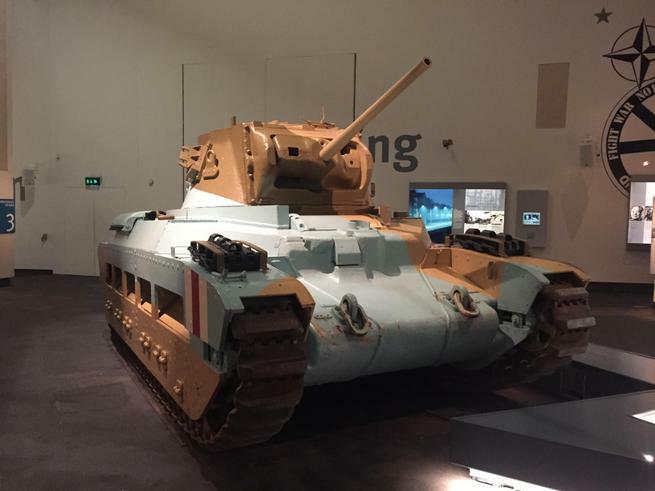 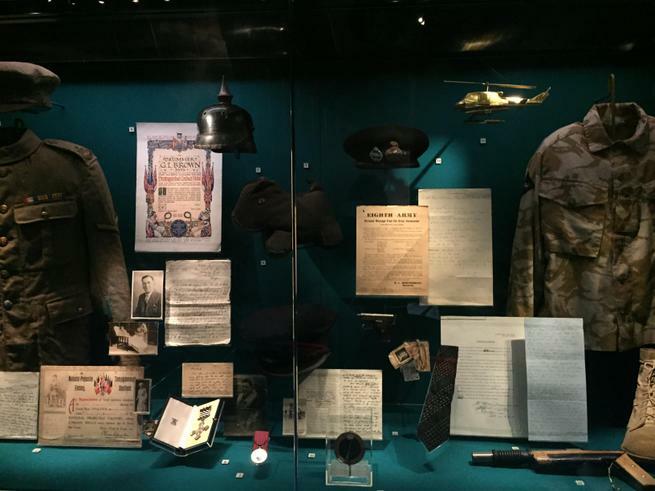 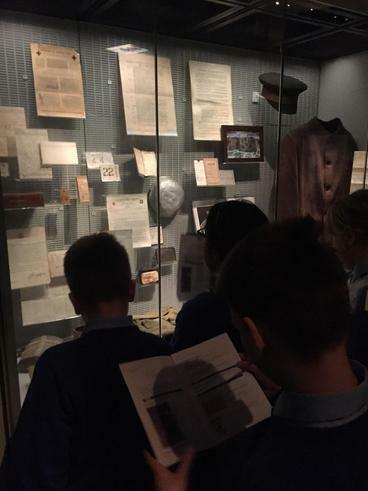 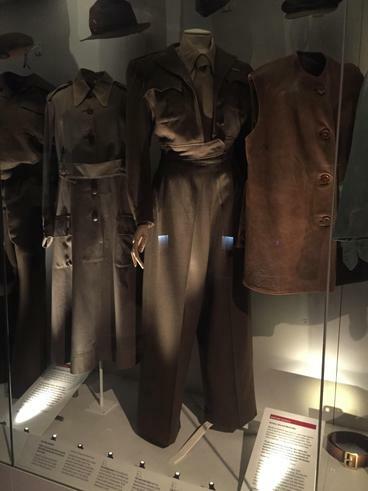 history topic, we spent an amazing, educational and sometimes emotional day at the Imperial War Museum in Manchester. 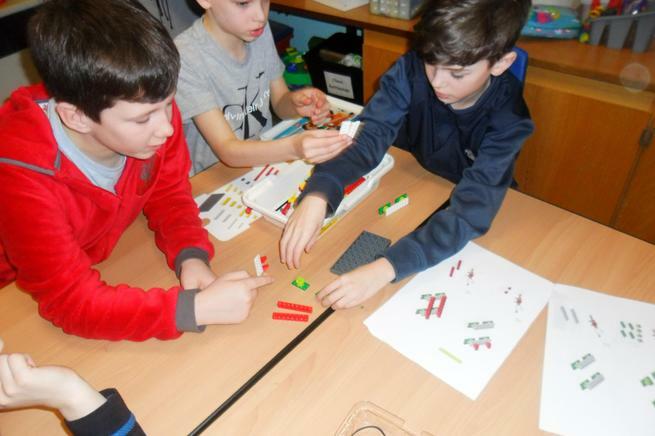 Working in groups, we completed different 'trails' where we had to gather information, discuss ideas and explain why we thought this. 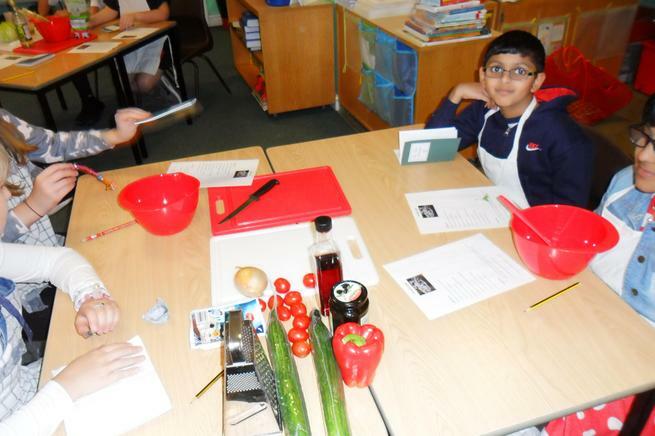 We have used the information we gathered to produce a piece of writing based on our findings. 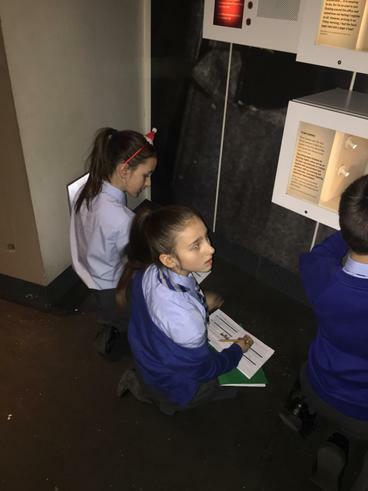 There were six silos which held artefacts and information about different conflicts that we researched with our 'trail' groups. 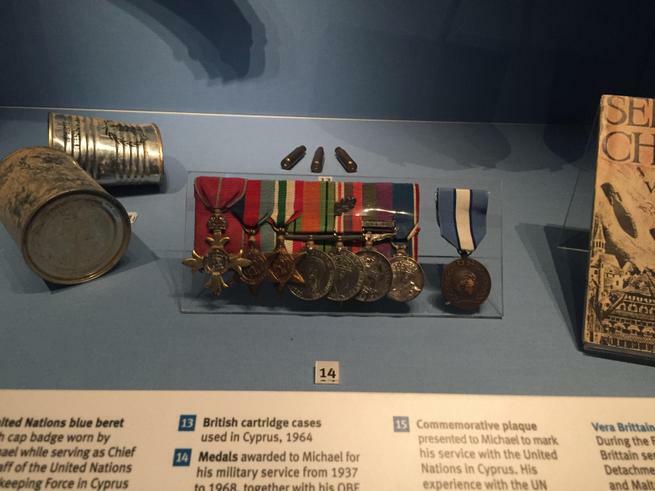 This is a piece of art that was made from an assortment of broken weapons, bomb shells, barbed wire and bullets retrieved from different conflicts. 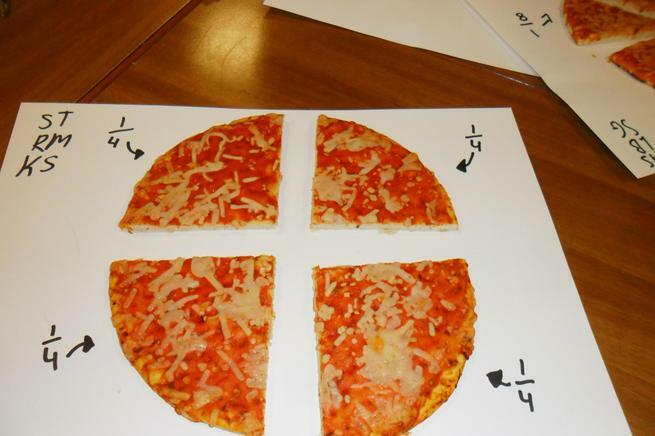 Some of us thought it was a plane, whilst others thought it was a cross. 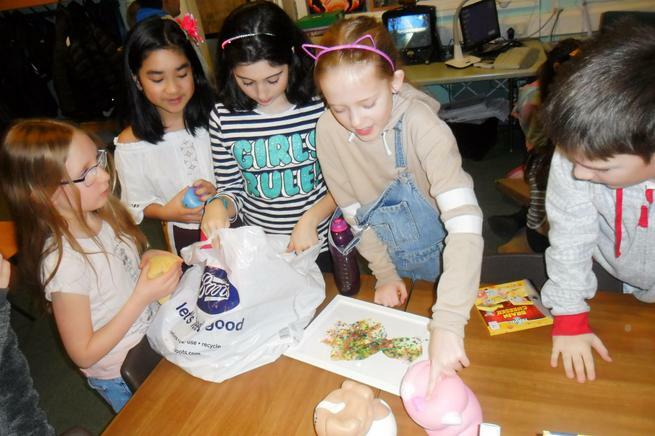 Members of the army were given a challenge by their Chief Officer to make a toy for his daughter that he could give to her. 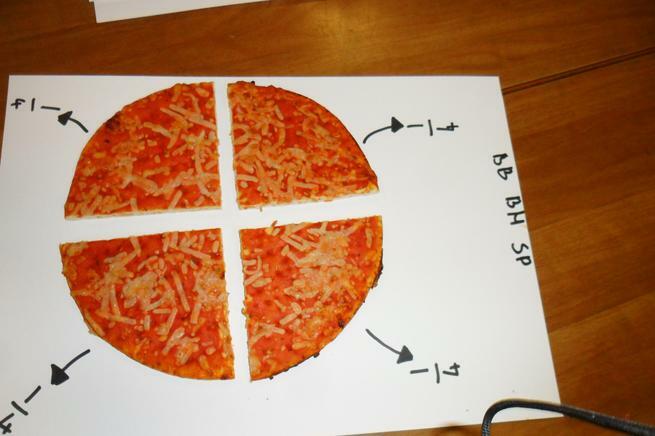 He promised that whoever could complete the challenge would be given 48 hours of freedom together with a feast of delicious treats. 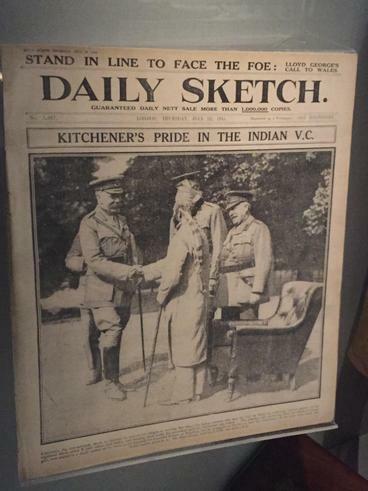 Unfortunately, despite the challenge being carried out, he reneged on his word and gave nothing to the solider! 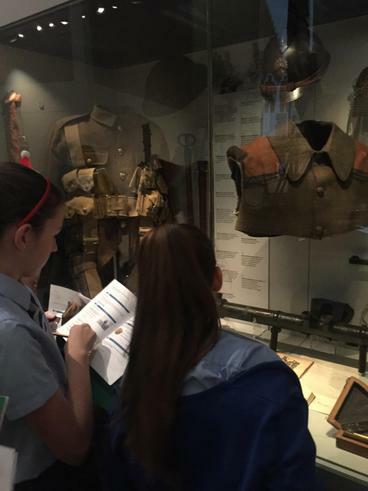 We realised that it was not just British and allied troops that fought in the First World War. 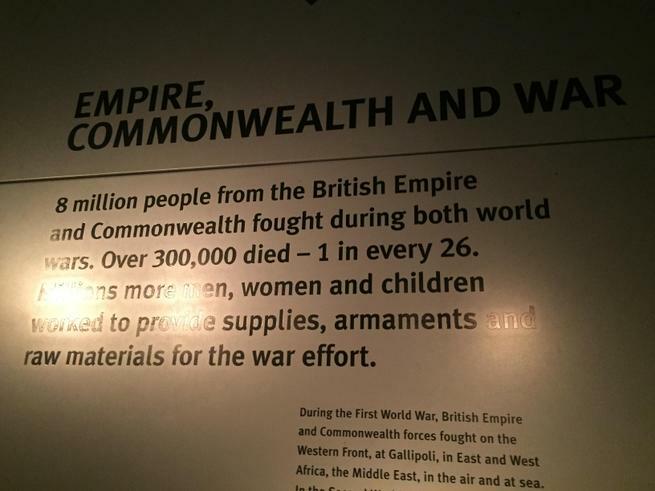 There was an array of Commonwealth Countries that fought too. 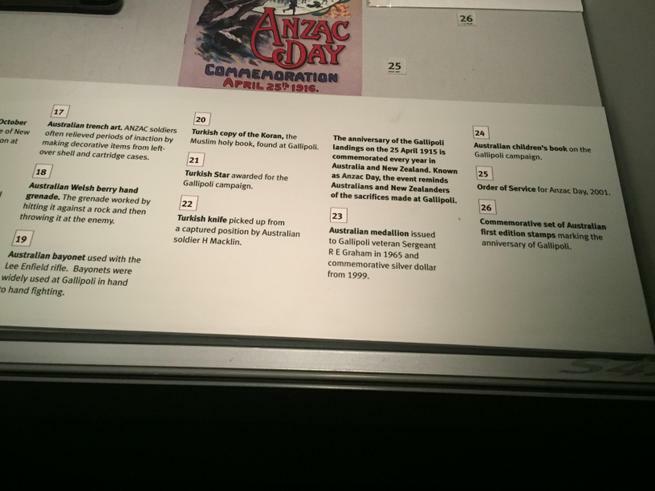 The poster shows the countries that fought in this war. 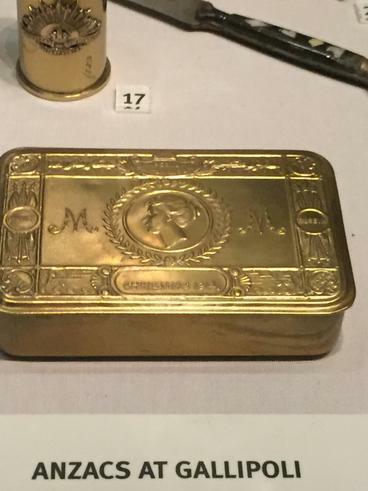 This is a Princess Mary Gift Fund box. 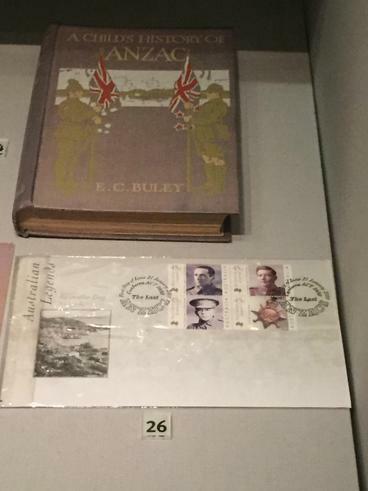 These boxes were sent to all soldiers and sailors from Britain and the Empire at Christmas 1914. 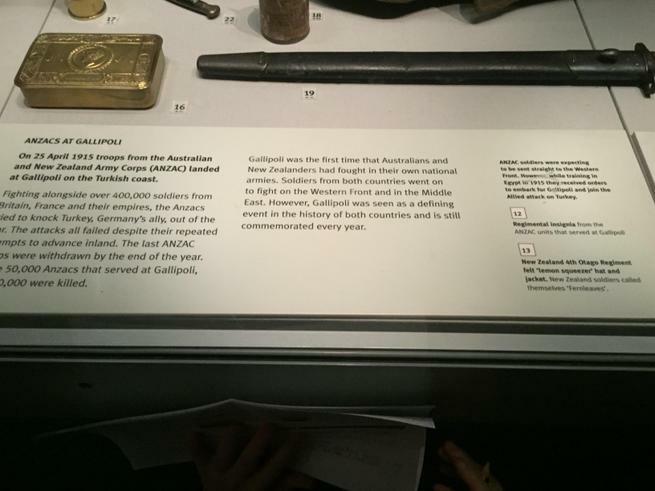 Memorial plaques like this were sent to the family of each soldier or sailor who died in the First World War. 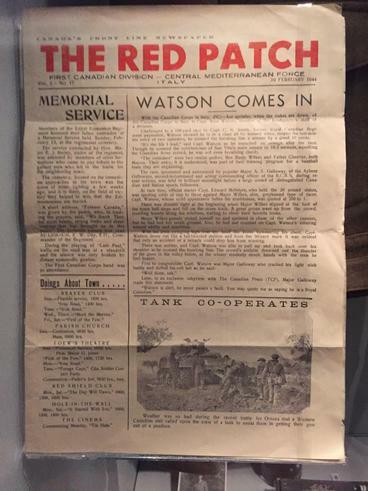 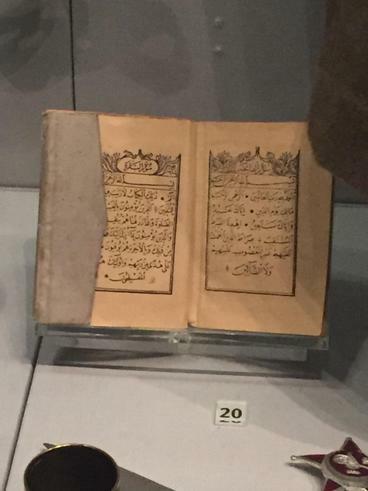 This was sent to the family of Ernest Nicholson. 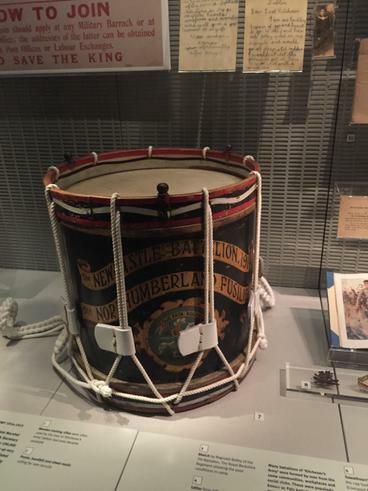 He was buried in Ypres, where he died. 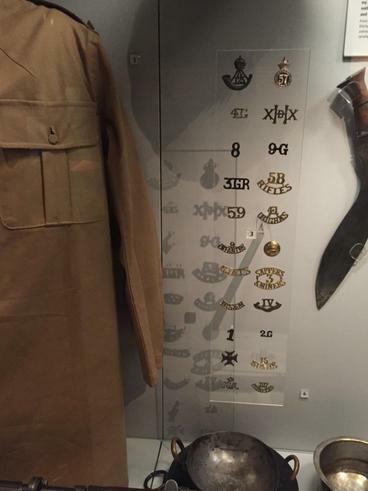 Here are some more artifacts that the family have kept to remember Ernest Nicholson. 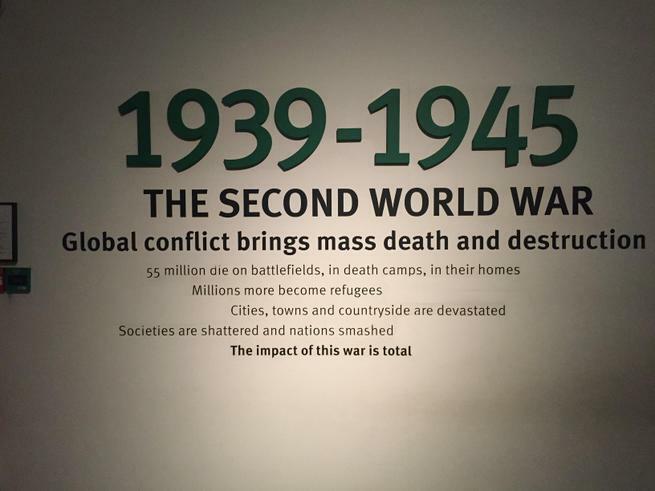 Although we think of wars as the First and Second World Wars, there is still conflict and war taking place in our modern society. 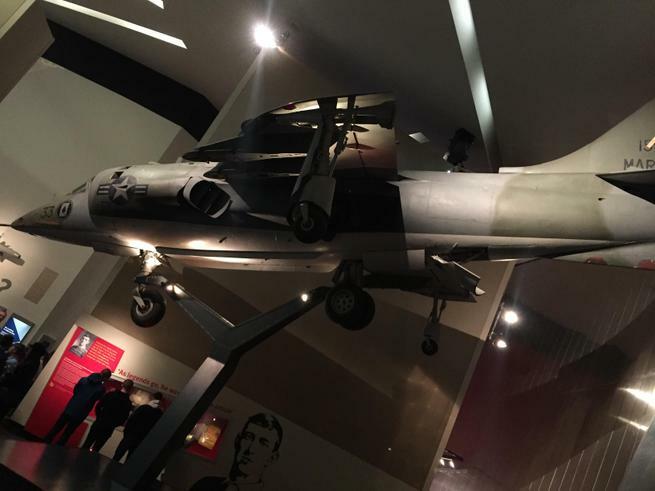 The above picture is an actual steel piece of the framework from the Twin Towers. 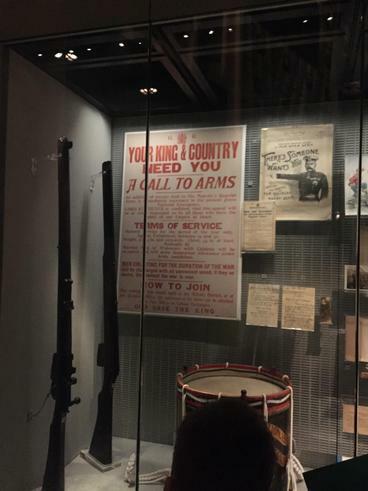 It shows there is still conflict happening today but in a different way to World War I and II. 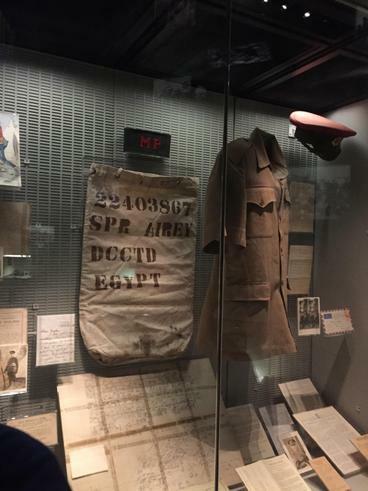 Although, modern day conflicts can help others in oppressive conditions, we think that we should see more world leaders working together and communicating verbally instead of using weaponry to solve these issues. 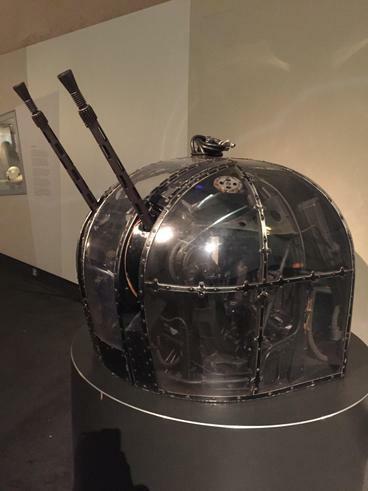 This is a real search light that was used for the Berlin Wall in Germany. 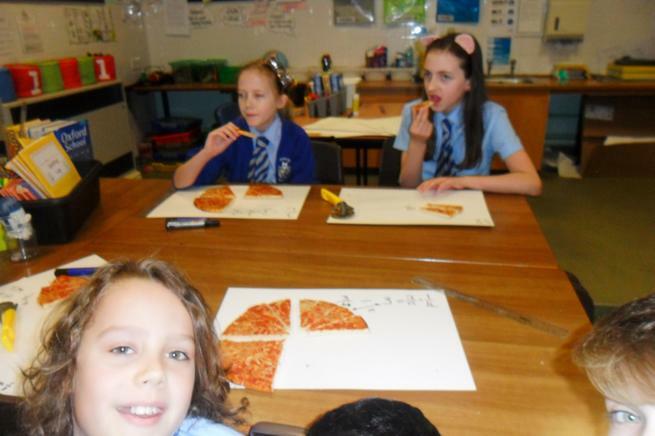 Sinking our teeth into fractions! 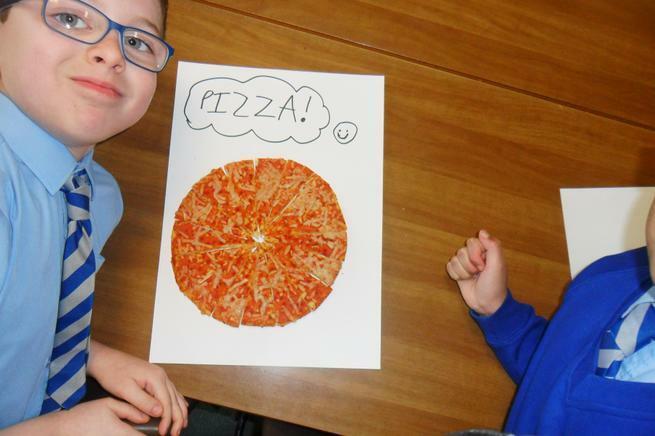 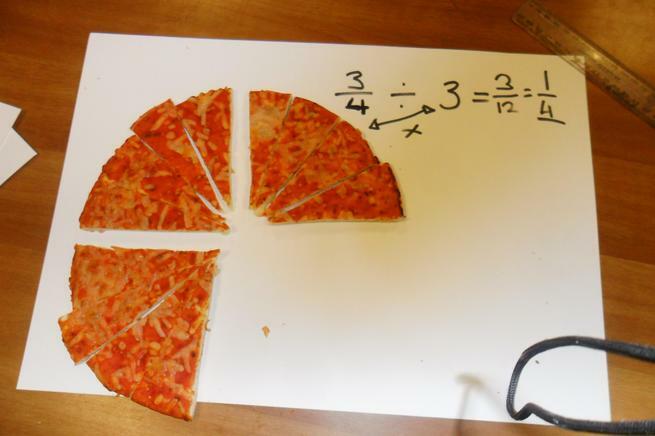 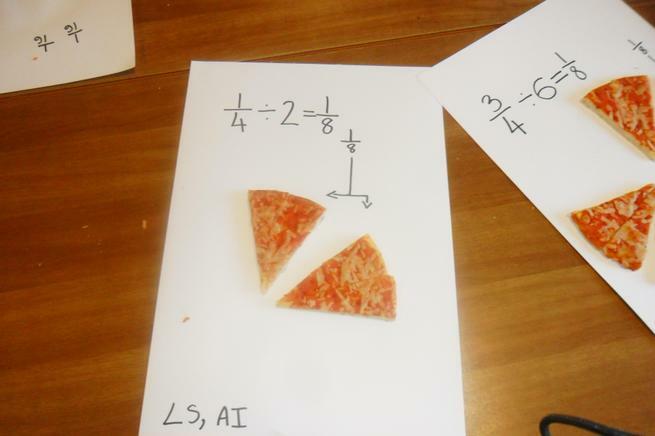 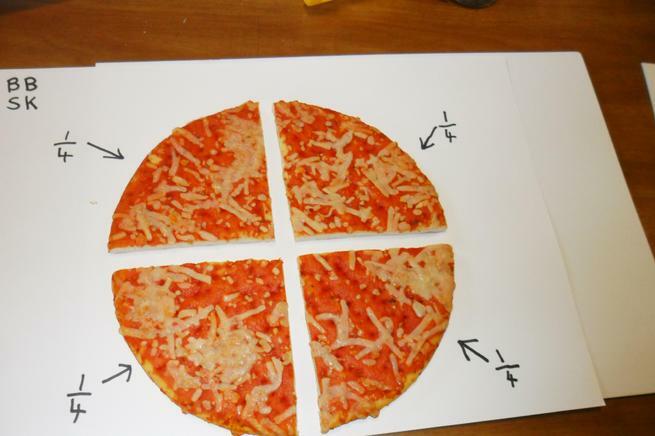 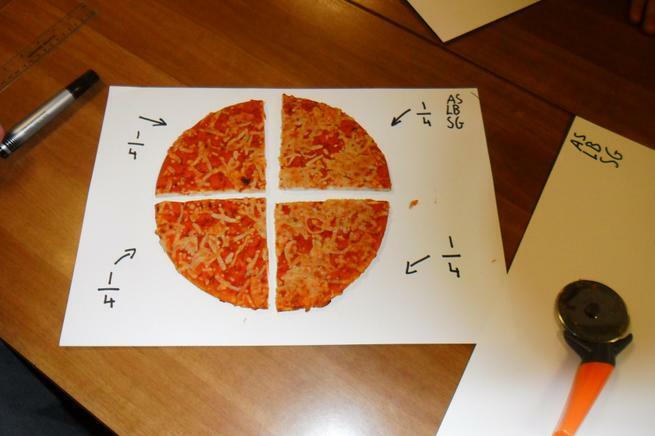 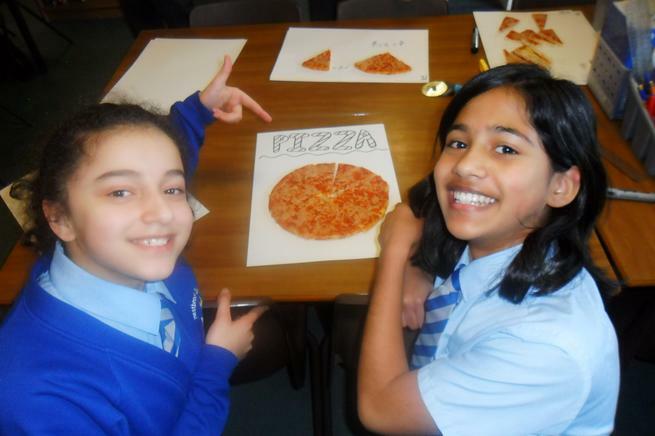 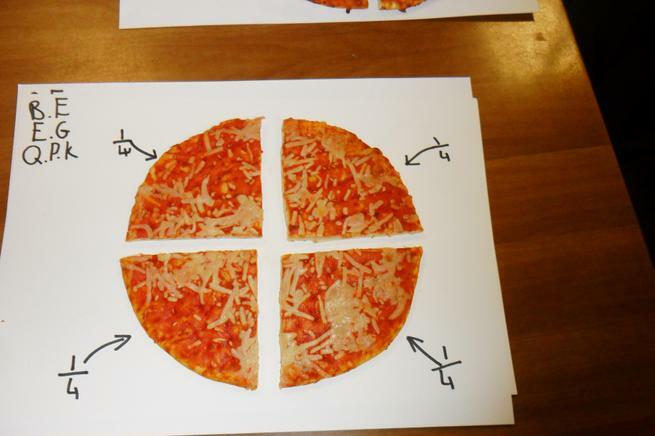 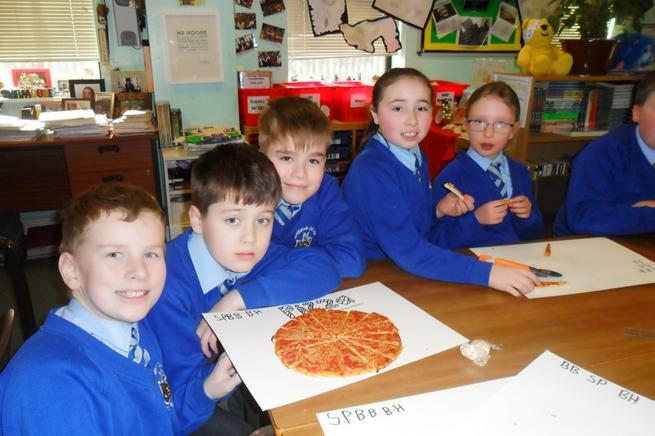 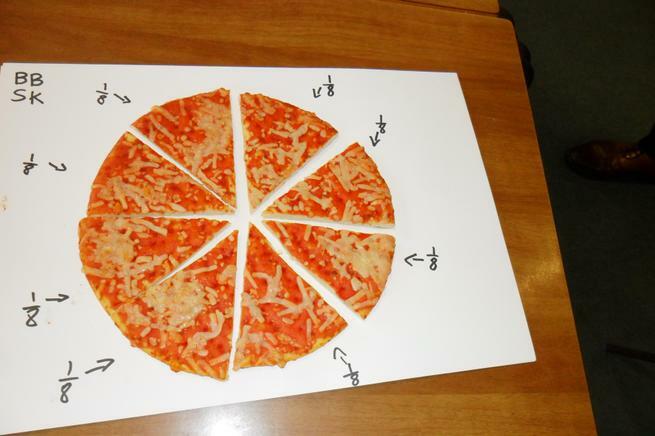 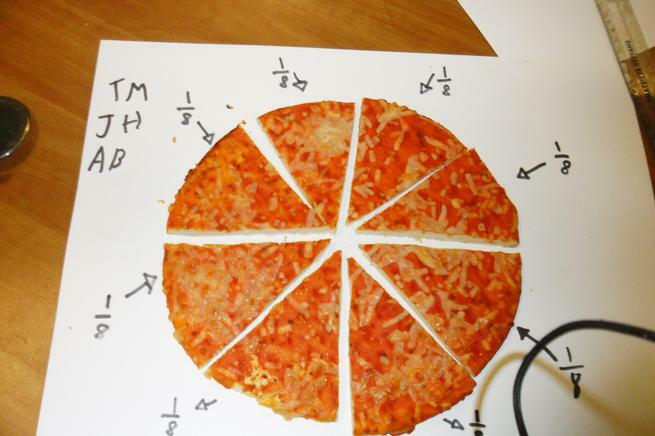 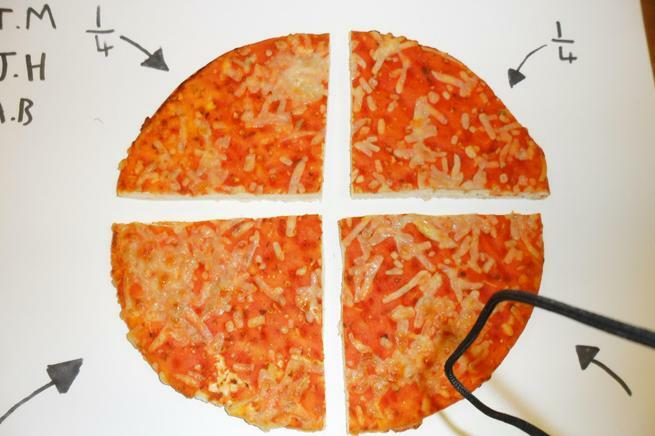 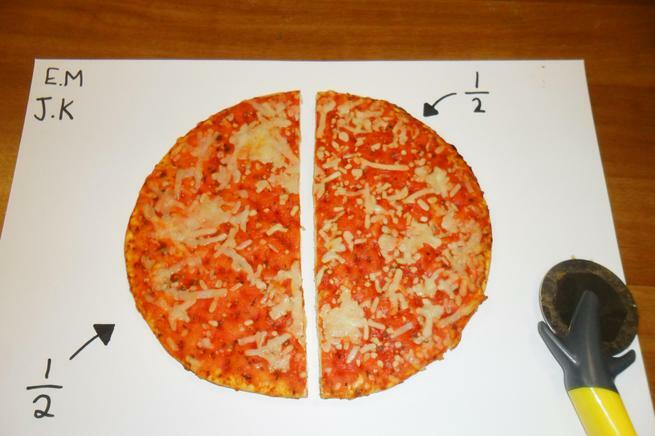 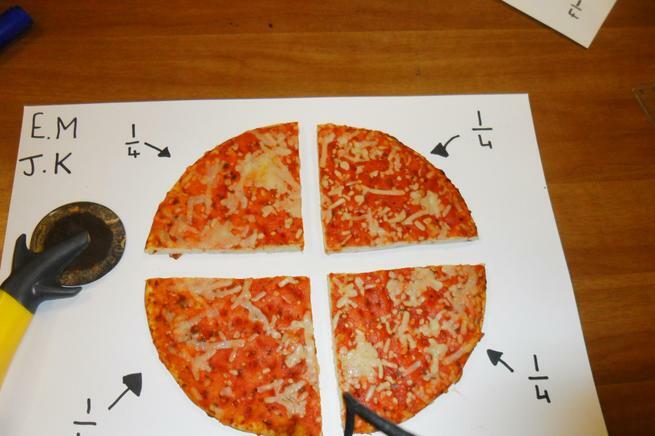 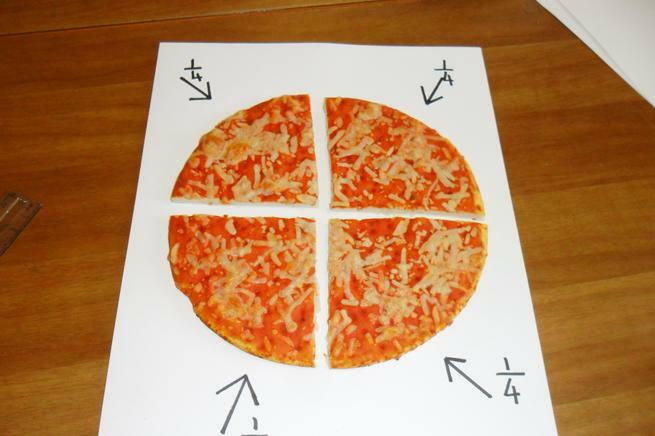 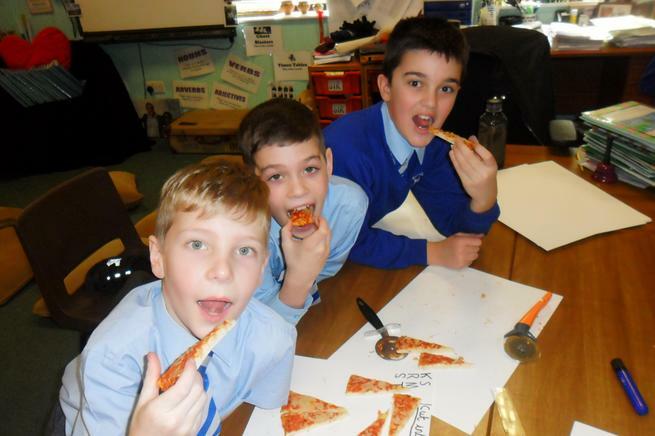 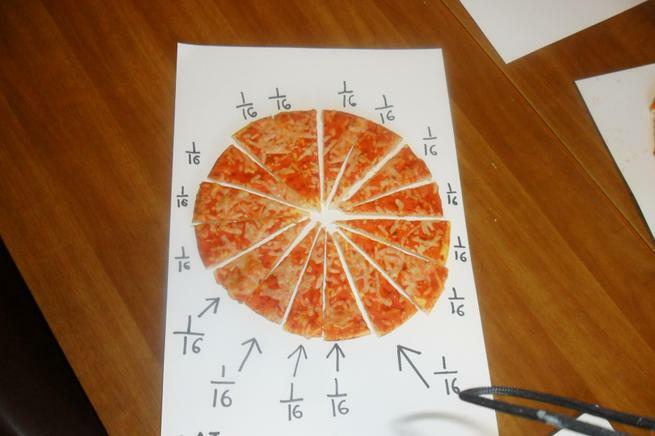 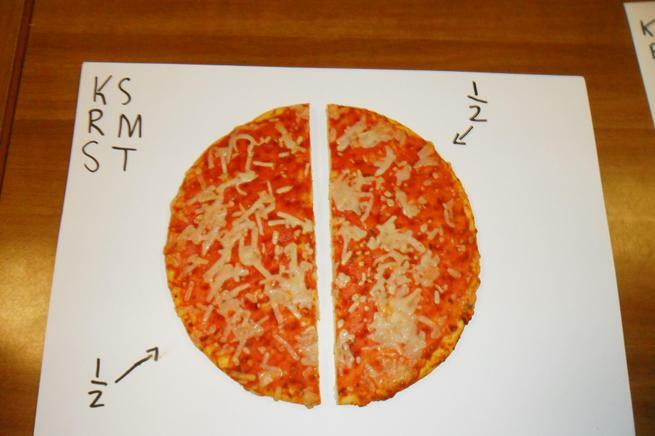 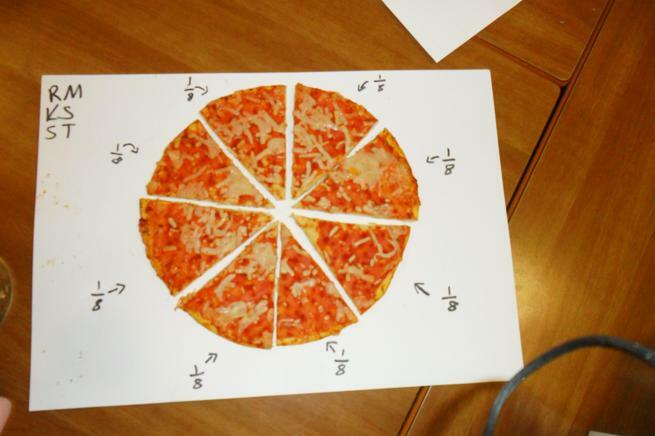 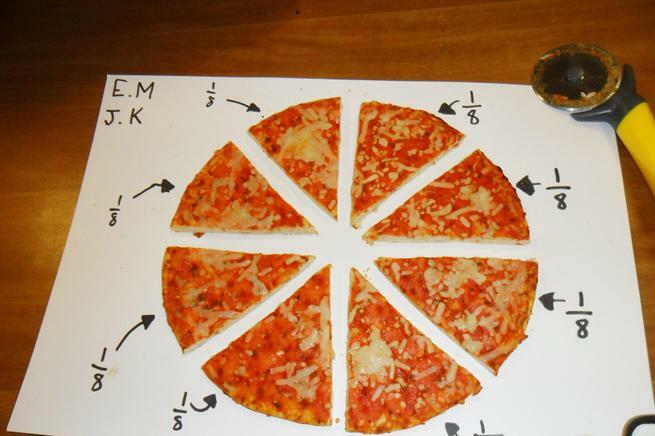 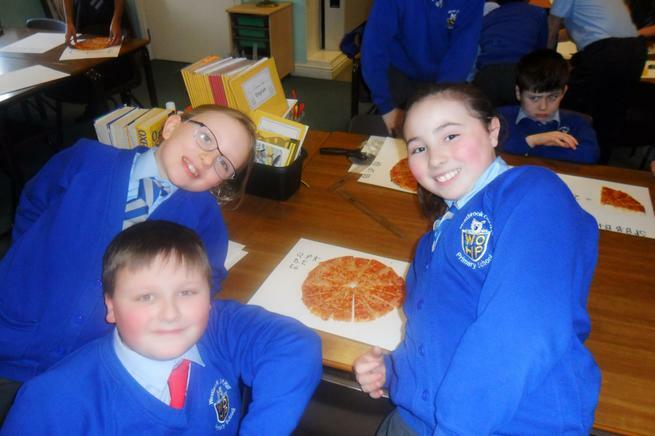 In Mr Moore's maths lesson, we explored fractions through a practical and tasty experiment that involved PIZZA!!! 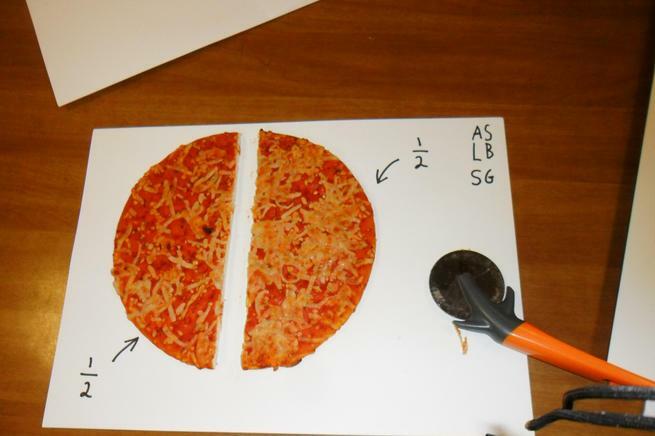 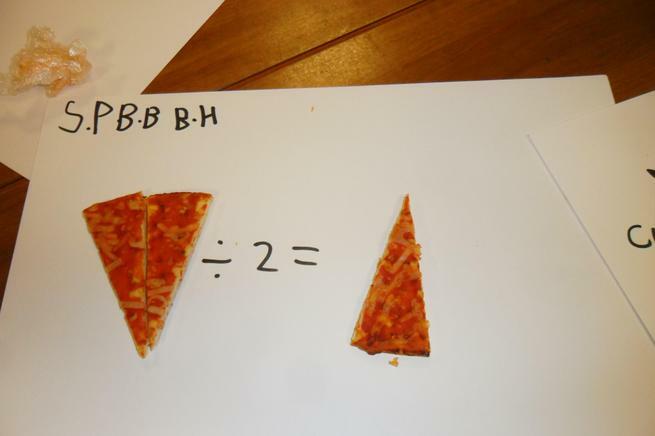 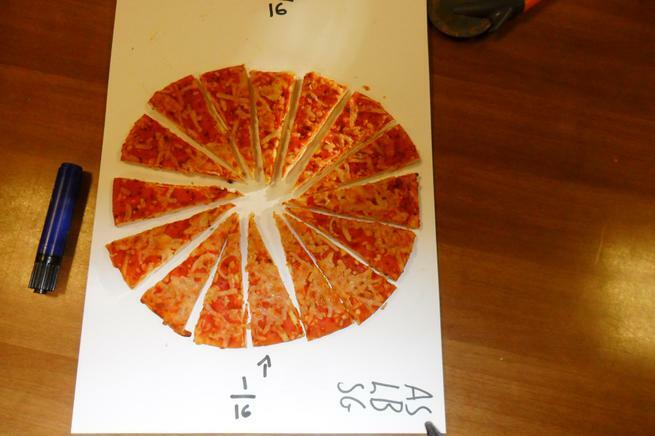 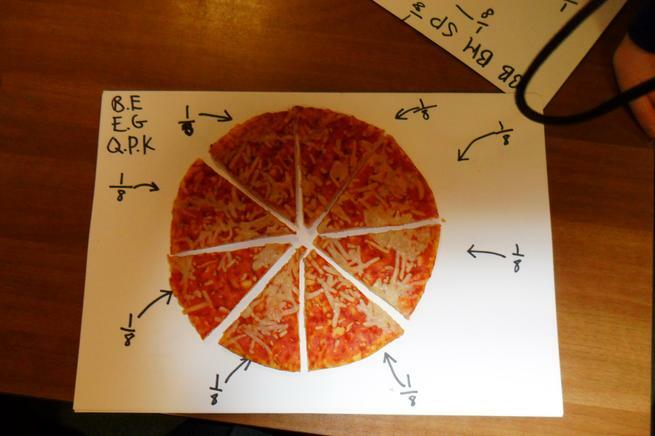 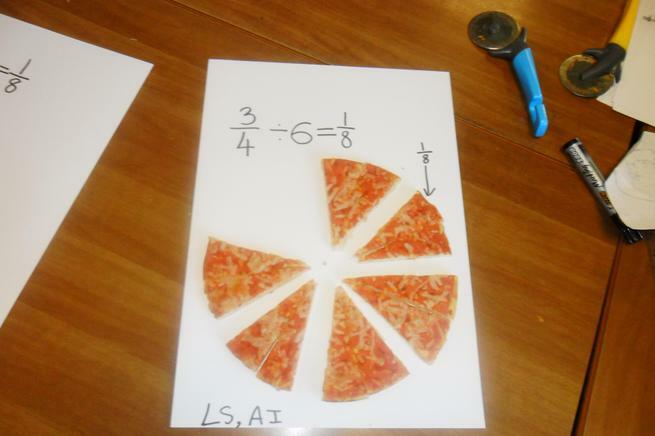 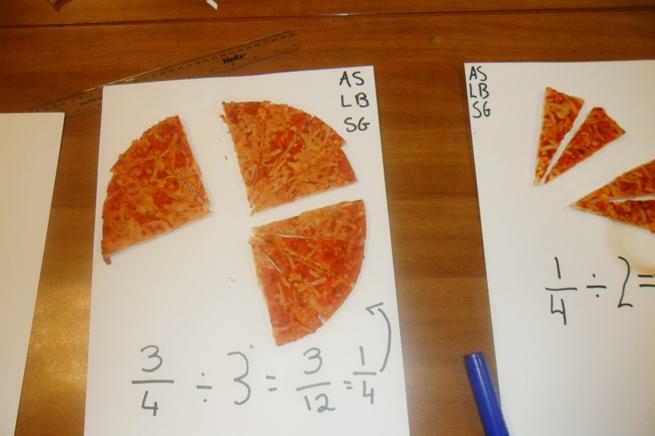 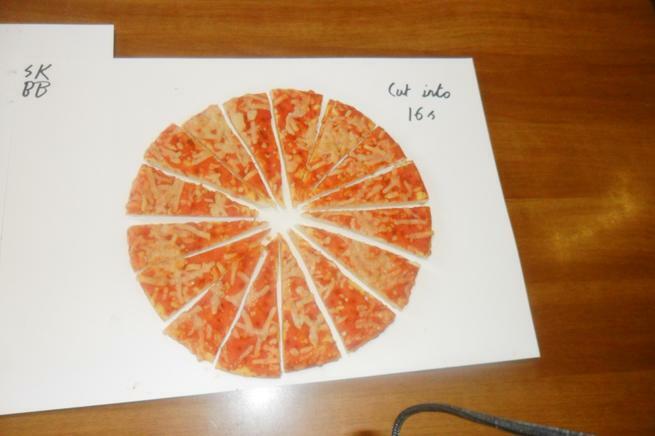 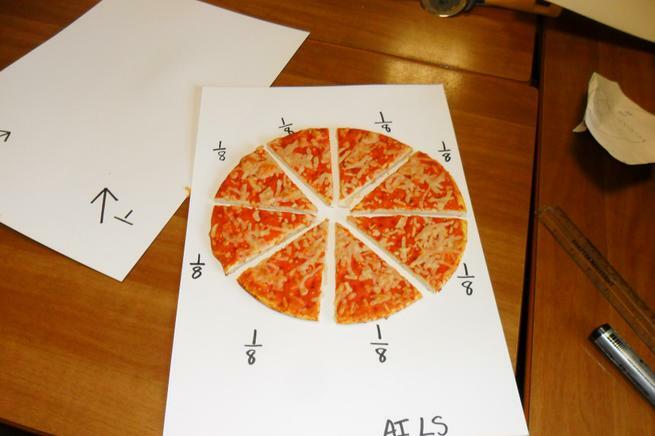 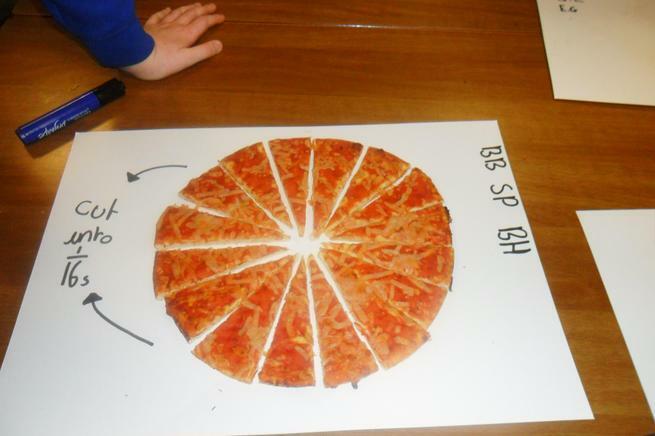 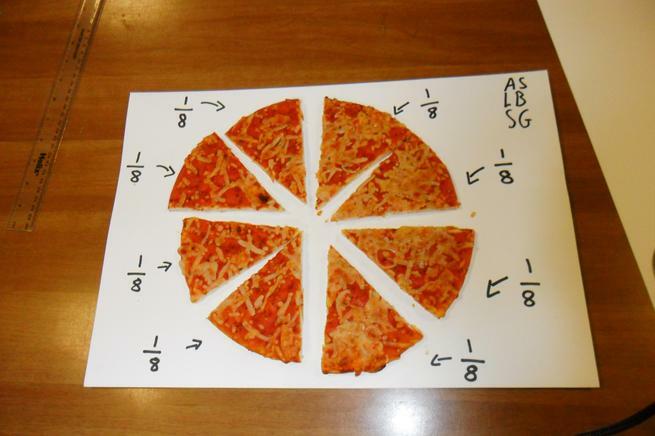 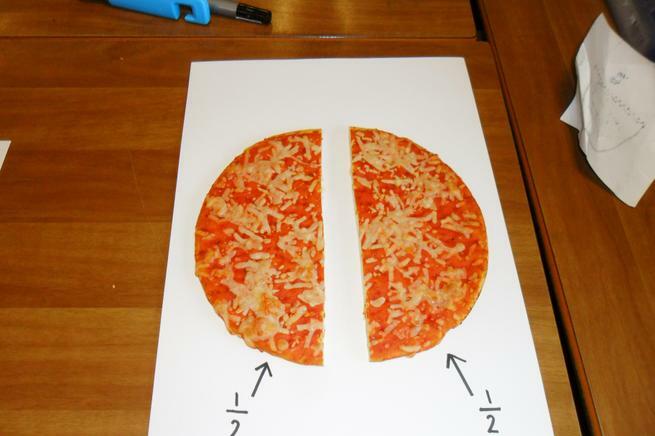 Firstly, we used pizza cutters to equally divide our pizza into halves, quarters, eighths and sixteenths. 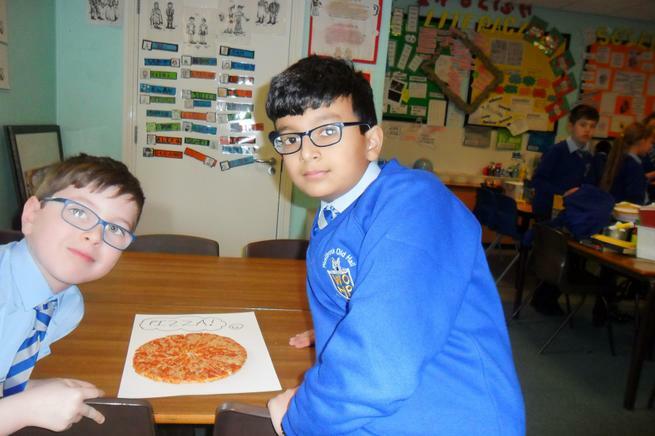 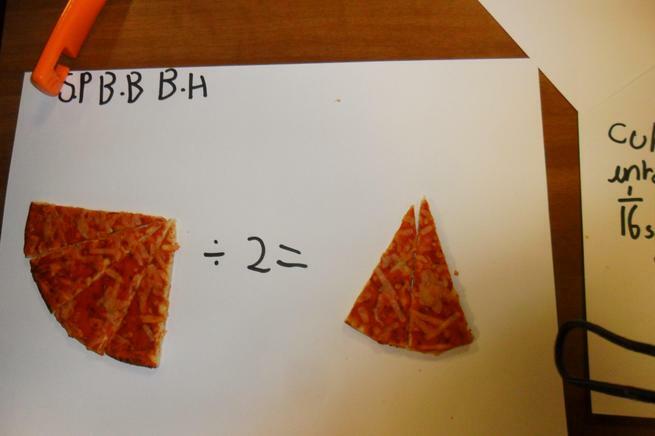 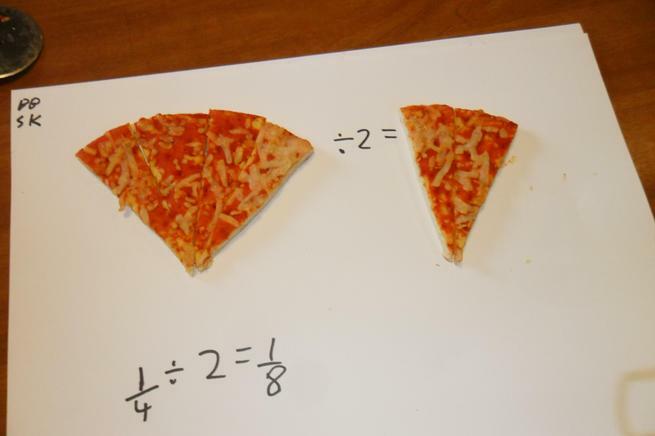 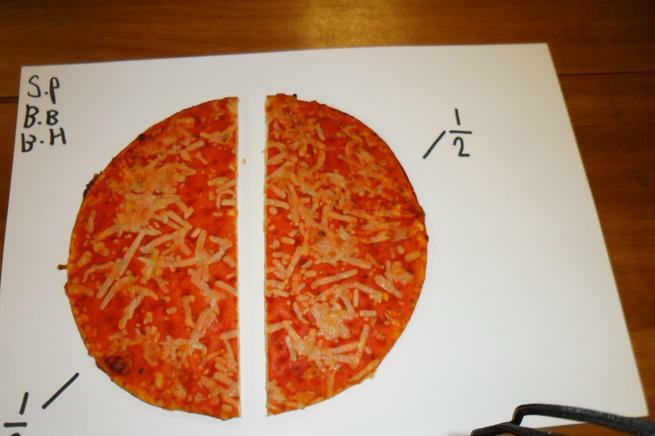 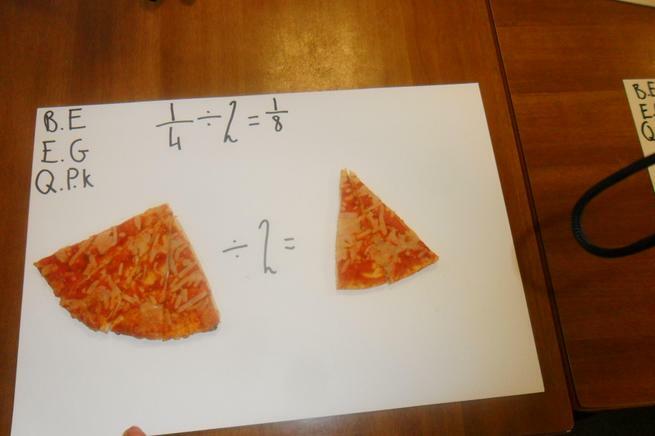 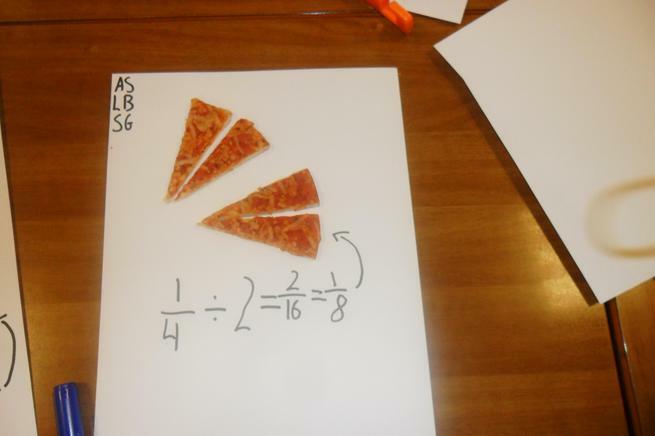 After that, we explored how to divide a fraction by a whole number by using equal slices of pizza and investigating what happened to the fraction when we divided it by a whole number. 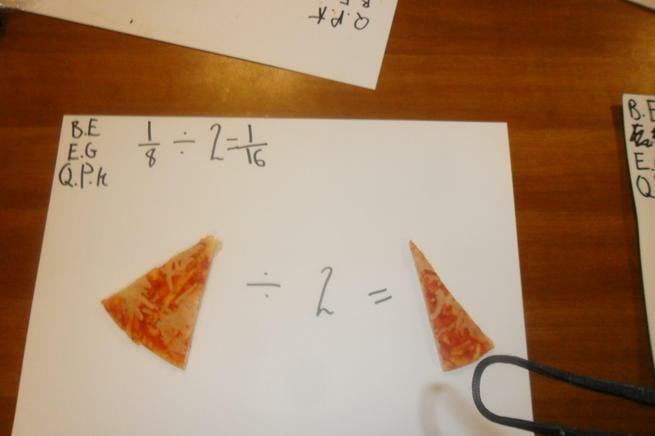 Using this type of learning, it helped us to understand fractions and how interesting they can be! 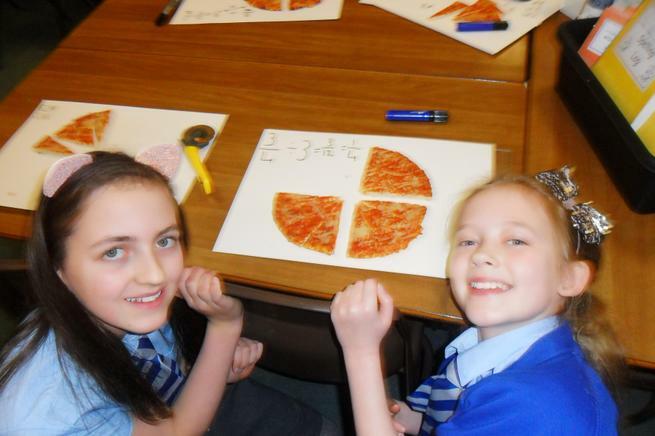 We learnt that fractions are fun and interesting! 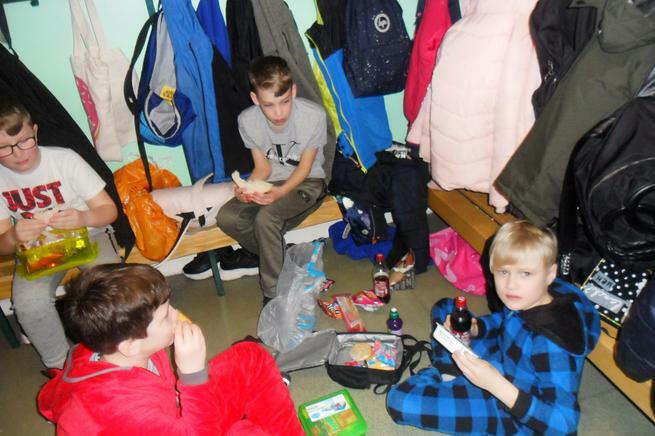 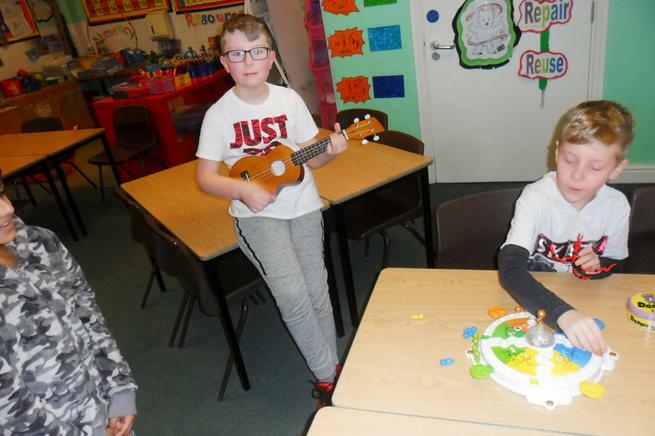 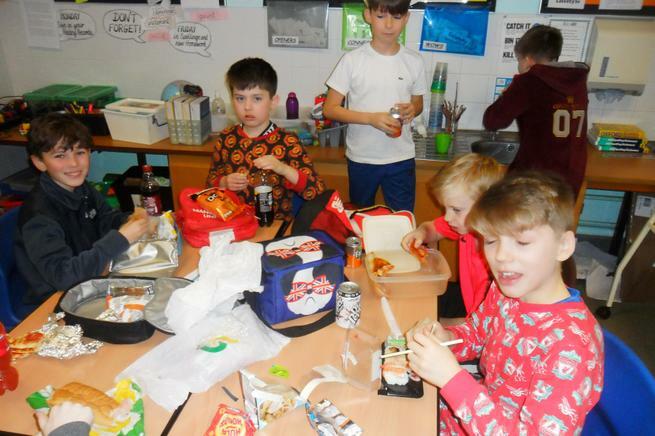 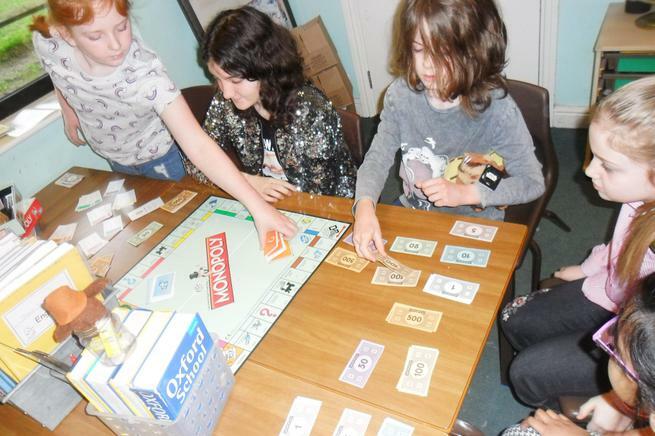 On Friday 25th January, Year Six were rewarded for all their hard efforts and great learning with 'a day off in school!' 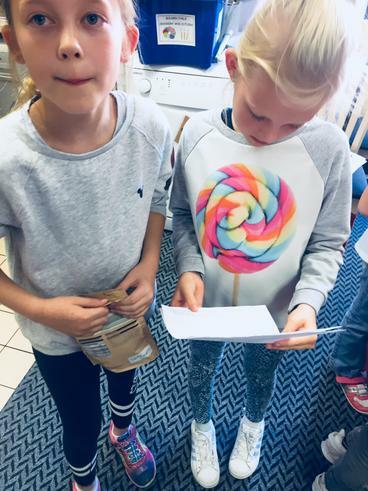 We managed to obtain a whopping 120 dots to earn this special treat day. 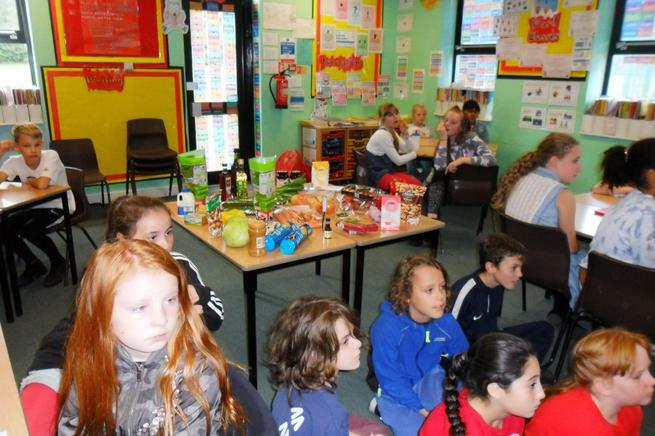 Games, a film, chilling in the chill zone and extra playtime was just some of activities that filled our day. 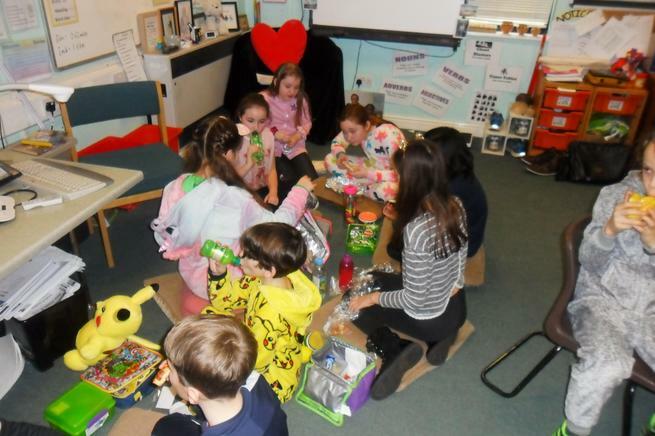 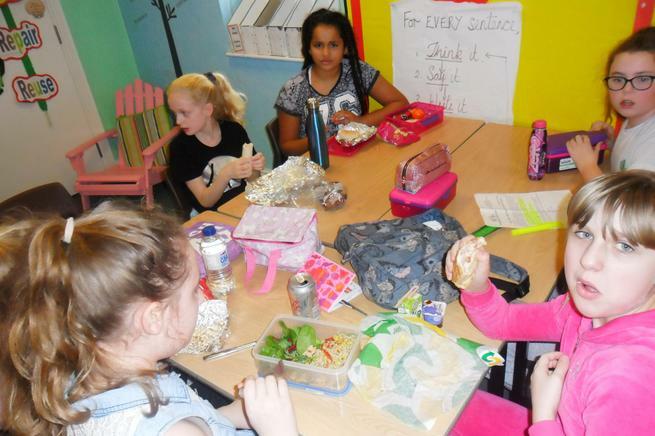 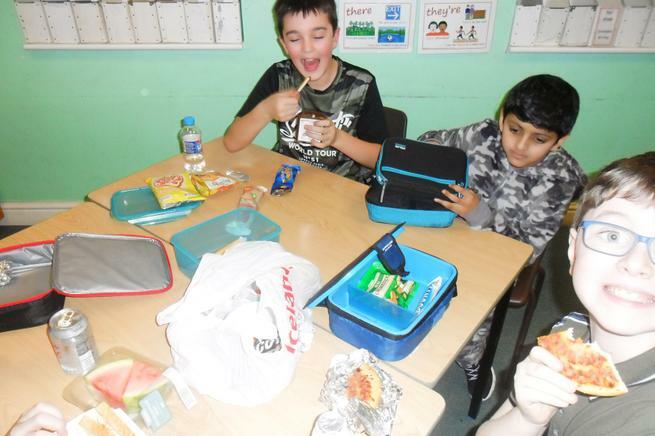 Wearing a choice of own clothes or a Onesie, we also got to eat our packed lunch in the classroom with our friends! 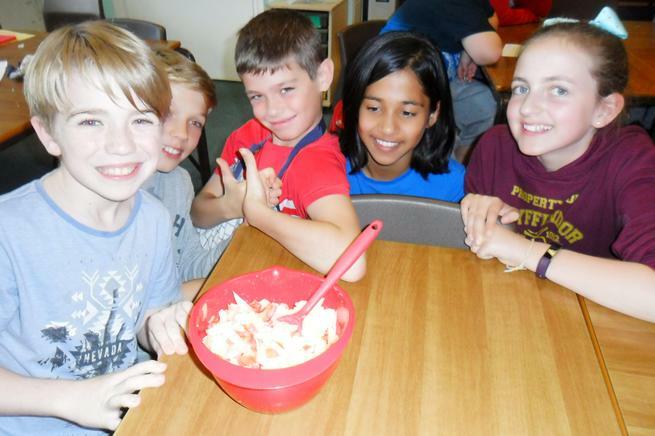 All in all, it was a great day! 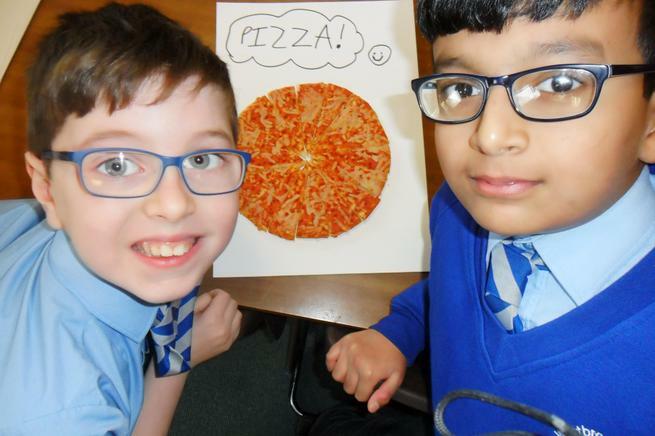 Now on to more fabulous learning, achieving, rising to challenge and just being lovely to achieve the next dot target of 240! 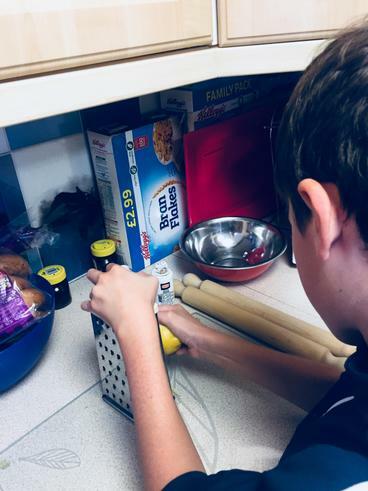 Uploaded by Ready Read Alouds on 2018-08-02. 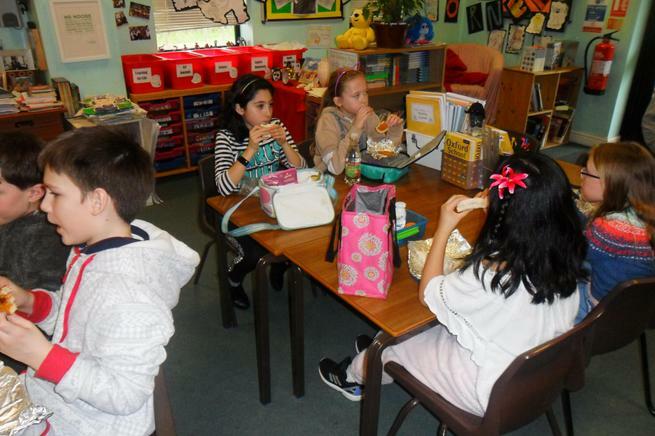 In English, we have been reading the non-fiction book 'Can We Save the Tiger?' 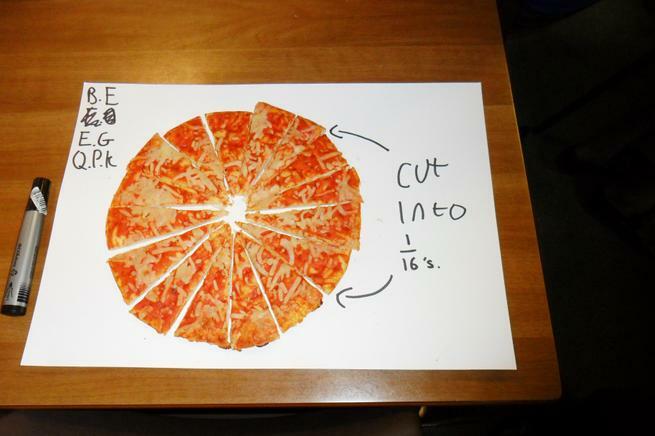 Although it is all based on fact, it is written in a very creative way. 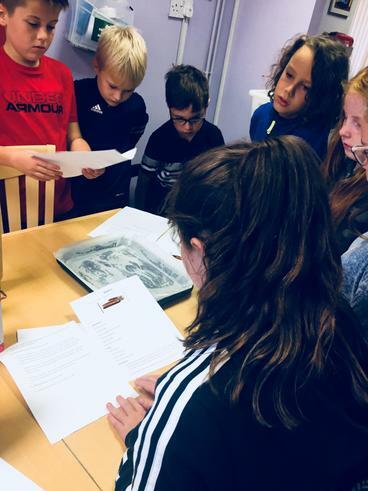 We are using the beautifully presented text to inspire us when we write our non-chronological report about animals that are native to the Galapagos Islands. 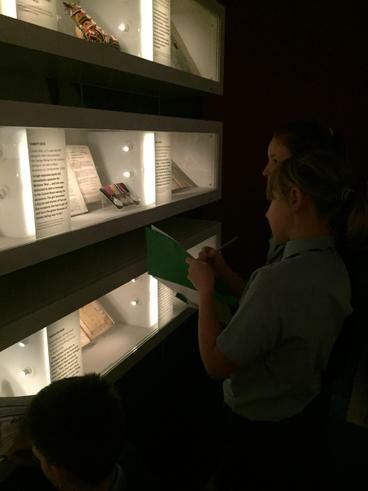 On Thursday 31st January, the Year Six class librarians visited the Mobile Library Service that came to school. 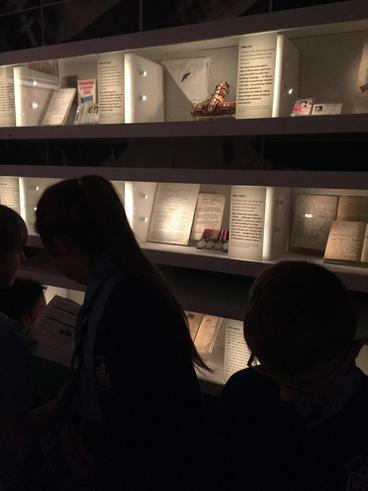 As we were getting on, we were all in awe of the vehicle that was originally a bus but had been converted into a library! 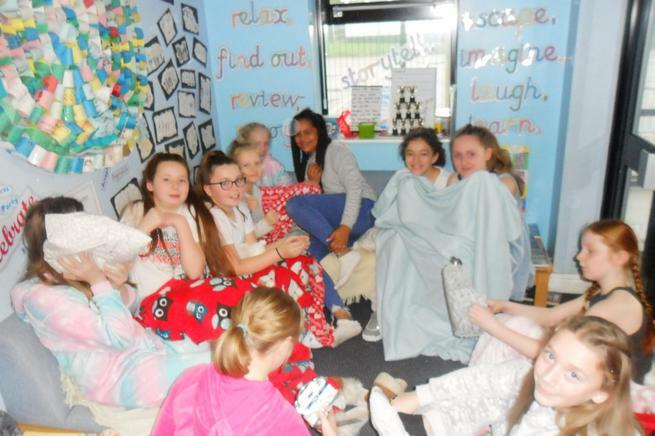 This included comfortable chairs, a reading corner, many books for all ages and a book check in/check out desk. 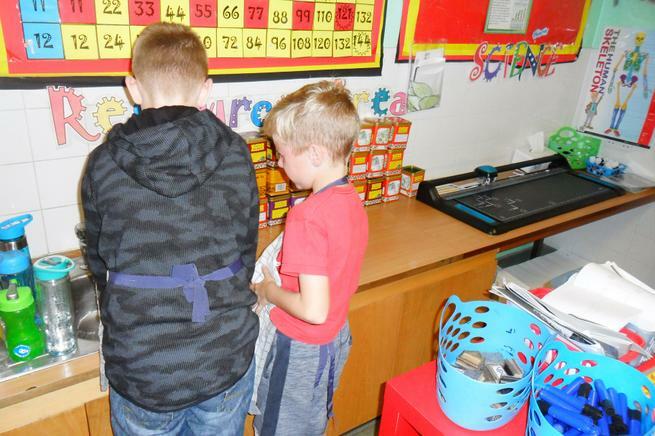 We took three books each of our choice from our library and swapped them for three that we chose from the mobile. 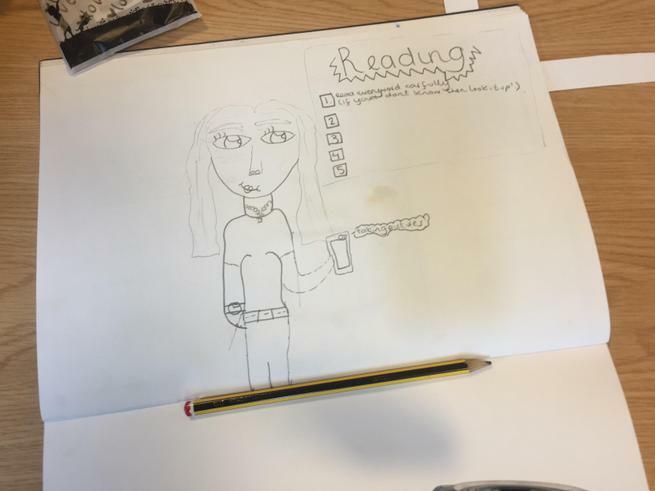 We thought carefully about the types of books that we were going to select for our class reading corners and eventually, we picked out interesting books that we were inspired by after reading the blurbs. 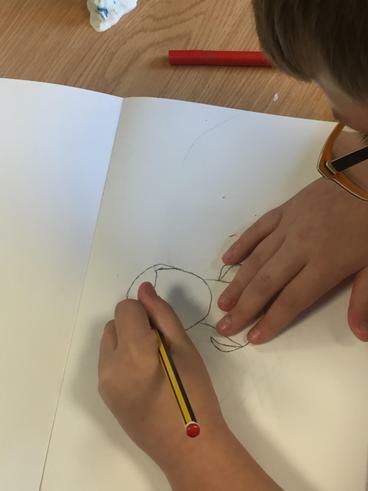 We brought them back to class and we are in the process of making posters to encourage children to read the new literature. 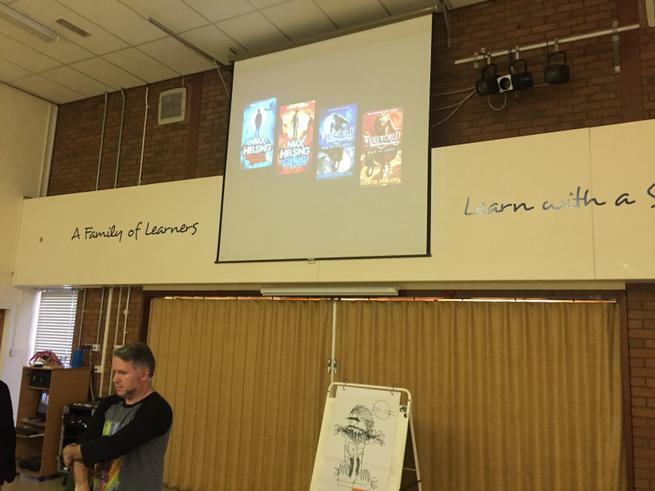 We were also kindly given four new books donated by the Mobile Library Service to enjoy in our classes. 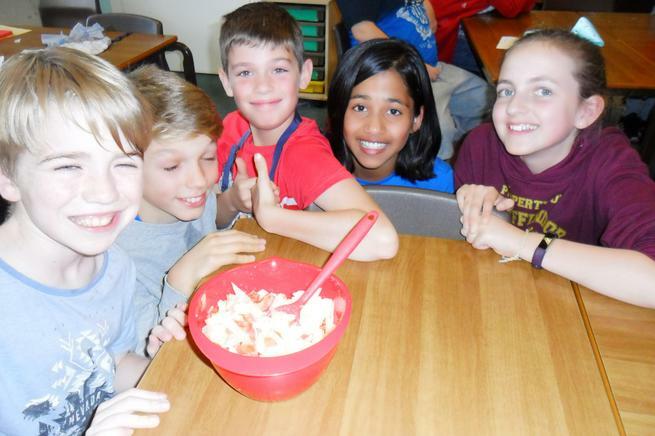 The temperature of Grasslands in the summer is approximately 100°F and in the winter it is approximately –40°F. 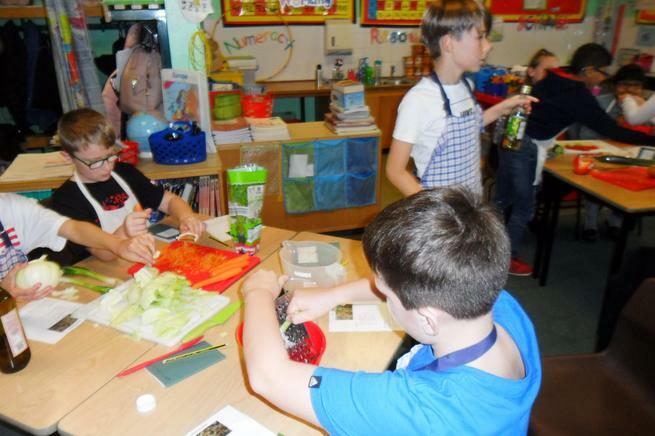 In the Aquatic Biome the temperature is 39°F on average. 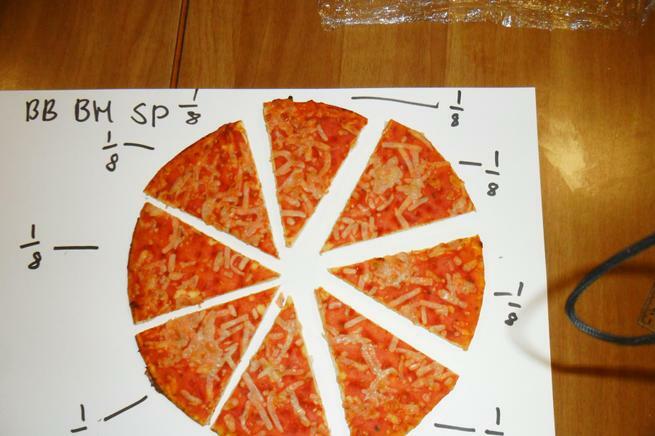 In the Desert Biome the temperature can reach up to 113°F in the day and approximately 32°F in the night. 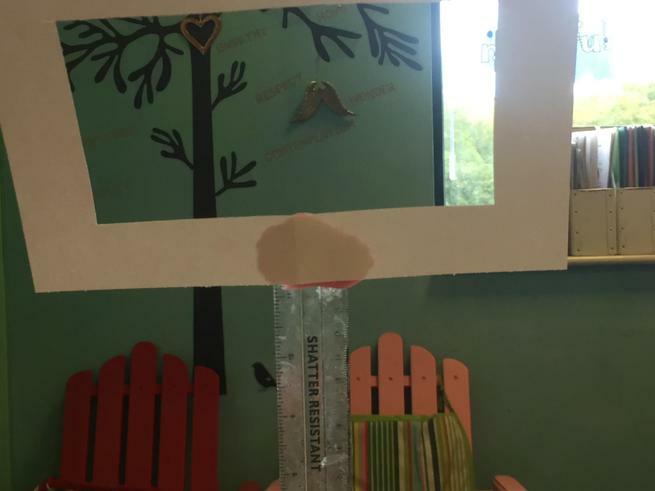 The average temperature of the Forest Biome is approximately 60°F. 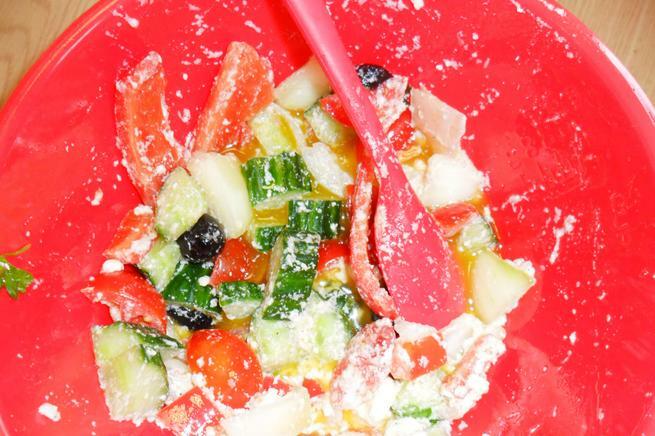 In the Tundra Biome during summer, the temperature can reach up to 37-54°F and in the winter it can go down to –30°F. 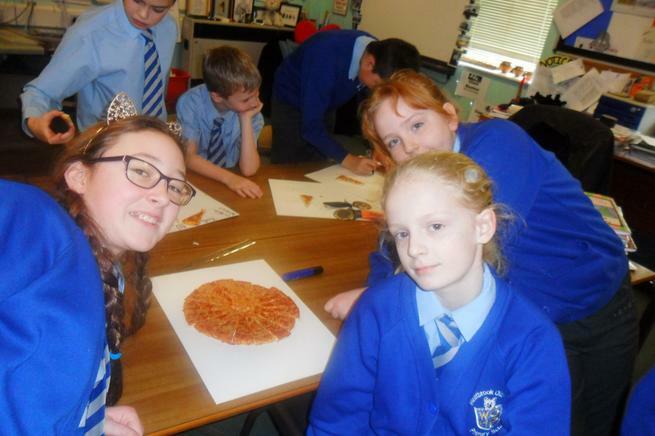 Here are some of the amazing biome wheels produced by Year Six along with detailed paragraphs containing information about the different biomes. 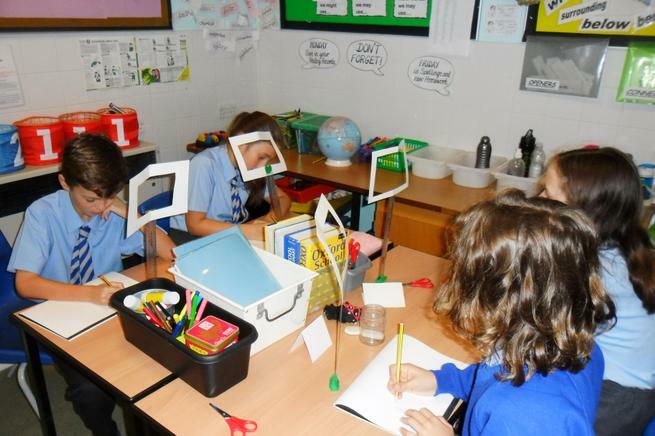 We explored the internet, used reference books, maps, atlases, globes and watched videos in order to obtain the facts and information. 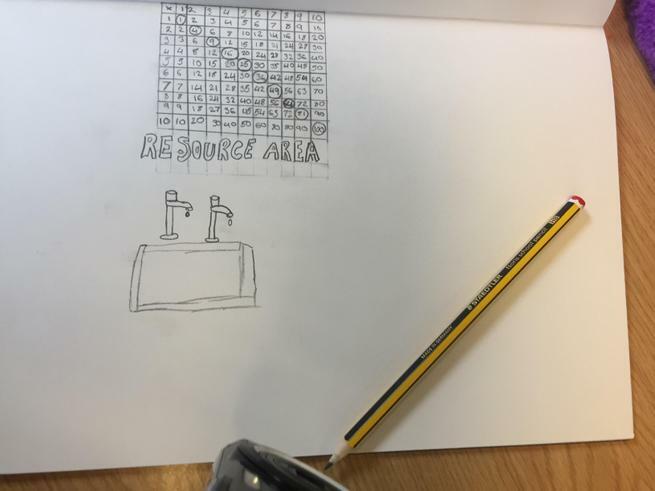 https://patreon.com/freeschool - Help support more content like this! 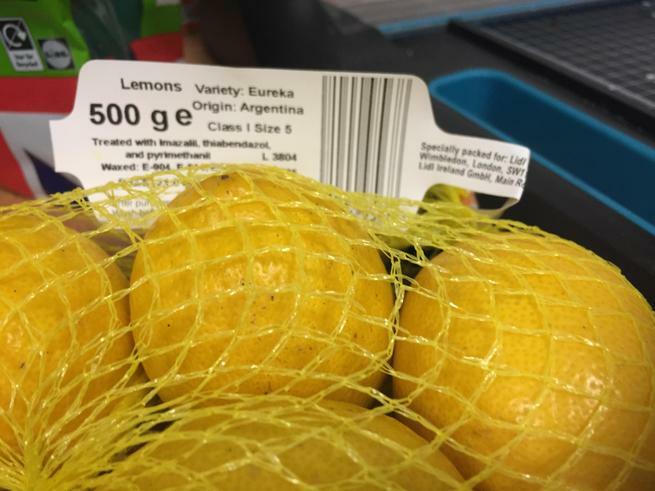 From Antarctica to the hottest desert, there are many different places on Earth for plant and animals to live. 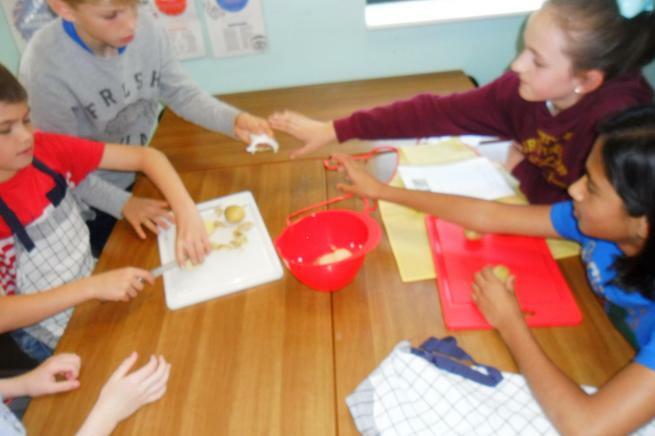 Large groups of similar ecosystems are called biomes. 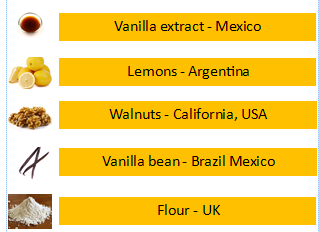 You will probably recognize most of the biomes we visit in this video. 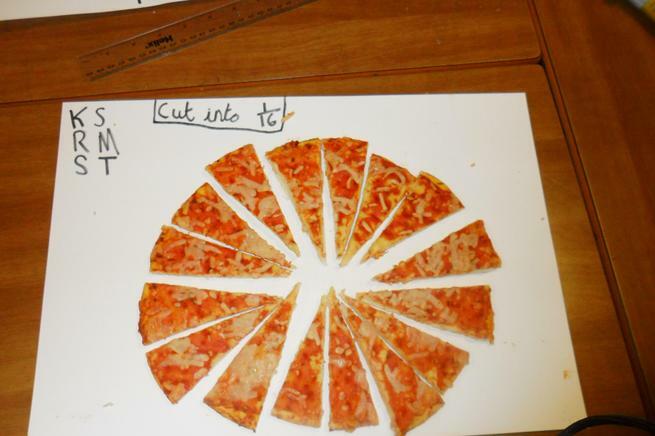 Check out our strategies for exploring and understanding percentages and percentage problems using Make It, See It, Write It, Talk It!